This journal was originally on my Squidoo lenses, but after many changes at Squidoo, I’ve decided to transfer my content to my own website where I can have more control over it. This was written between March 2012 – March 2013, as I set out to take a year increasing my passive income sources online. My goal is to spend the next 365 days building numerous passive income streams. I will document what I did each day to increase my passive income online. This may be as simple as writing a new blog post, or making a new page on a google adsense revenue sharing site. Or I may write a new Squidoo page which recommends products on eBay or Amazon, which once published will earn my commissions on any sales made from the page. Or it may simply be sharing a few affiliate links to other books or products that either pay me a commission or earn me free Amazon giftcards or something like that. The point is that every day I want to be planting at least one seed that will grow into a new passive income stream. But like a plant, in the beginning the seed may take some nurturing and a little extra water. But once the plant is established, it will begin to produce fruit and will produce fruit over and over and over again. Yes the plant will need some pruning or other care once in a while, but for the most part the fruit it produces will be automatic. This is my intention for these passive income streams. I will give them a little extra effort to get them going. I may spend a few hours writing a new Squidoo page. But once it’s created, it will need little maintenance in the future. Each income stream should give me some type of residual income on an ongoing basis into the future. Everything is a numbers game. If one page gives me $10 per month every month, then 100 pages would give me an ongoing passive income stream of $1000 per month. My point of documenting this for the next 365 days is to make sure I’m making a new source of passive income every single day. It may be the same type of passive income (like from the same website), but each new page has the ability to give me a source of residual income that didn’t exist before I created the page. If I don’t create the page, it doesn’t have a chance to make any money for me. I’ll start by telling you a little about the different places and tools that I use to create a passive income stream. This page you are reading is written on Squidoo, which is a free writing platform where you can write about various topics you are interested in. If the page you write is ranked high enough within the Squidoo network, you can earn income by getting a share of the advertising revenue Squidoo makes. This can be from $0.50 – $57.00+ per month per page. But beyond that you can also earn commission from products you recommend for sale on eBay or Amazon. You don’t actually sell the products yourself, you just link to other people’s products and you can earn a commission if someone clicks your link then goes over to eBay or Amazon and makes a purchase within a certain amount of time. I currently have Squidoo pages that make me $50+ per month in commissions every single month, over and over and over again with very little ongoing maintenance. I spend a lot of time (3-5 hours) up front to make the page, but then I only spend 15 minutes updated it every few months. A couple other places I also write that have the same type of ability to earn money from your pages are Wizzley and Hubpages. I also earn income from some of the graphics I use on various webpages. How do I do that? By placing posters and prints for sale from AllPosters.com and Art.com’s affiliate program. You are able to get awesome graphics for your pages, plus the prints and posters are available for your customers to buy if they want to. I have started doing this on a couple of my webpages, then I had completely forgot about this affiliate program and wasn’t even promoting it anymore. Until I got an email from them asking me to fill out my tax form so they could send me my $80+ in commissions that was due to me. Wow! That’s passive income. I put up a few links on a few pages, and then totally forgot about it and a few months later I had $80 in commissions waiting for me! Here’s an example of one of the Children’s Art Posters for sale. Something like this would be a great addition to a kids webpage or nursery decorating page. You can join the Art.com and AllPosters affiliate programs for free here. Mr. Rebates is a website that gives shoppers cash back rebates and coupon codes for online shopping at more than 2000 stores. They have a great referral program that will give you a 20% cash back referral bonus when you refer someone who joins Mr Rebates, shops online and gets cash back on their purchase from Mr Rebates. If your referral gets $10.00 cash back on their purchase, you would get a $2.00 referral bonus, just because you were the person who introduced them to Mr Rebates. And these referral bonuses are for the LIFE of that referral’s account. So EVERY TIME they shop online through Mr Rebates and get cash back on their purchase, you do TOO! This is one of my favorite sources of ongoing residual income. Right now I get between $150-$200 per month, every month, from the shopping that other people do. I’ve written blog posts about how these cash back rebates work, and people sign up so they can save money on their online shopping. They use my link, they save money, and I earn residual passive income. The work I did up front of writing the blog posts about Mr Rebates, is now paying me over and over again with these referral rebate bonuses I get. Here’s a screenshot of the ongoing passive income I’m getting from Mr Rebates. These are bonuses I’m getting when OTHER people shop online. Best-Reviewer is a Google Adsense revenue sharing site where you can write top 10 lists about things. You get a certain percentage of the ad impressions on your pages and if someone clicks on an ad from your page while your ad code is shown, you’ll earn Google Adsense money. Like everything else, the more pages you write, the greater your opportunity to earn more money. This currently is a penny dripper for me. Meaning I don’t make much money, however the more pages I make the more money I make. Drip, drip, drip, drip. Think of nickels and dimes slowing dropping into a jar. Consistently dropping into the jar over and over and over again. The jar is filling up. This is a website where you earn digital dollars (SB) for doing things like finding hidden codes and using their toolbar for searches instead of going to Google. They also have a referral program that will give you SB every time one of your referrals wins SB from the search toolbar. Once you have enough SB you can get free giftcards with them. I like to cash out my digital dollars for free Amazon giftcards. My referrals can keep earning me up to 1000 digital dollars per referral. A $5 Amazon giftcard costs 450 digital dollars, so in essence each referral could be worth up to $10 in Amazon giftcards. As with many of these passive income ideas, the passive part of it come from doing the work upfront of writing blog posts about these programs, or putting sign up links on various pages I own, or adding them to a Squidoo page, like I’ve done here. Then that work is done. That content is online forever (or until I delete it). Now I can go do something else, but that webpage is still up, getting me new referrals, day in and day out, without any further work from me. Another passive income seed is planted. This income is in the form of Amazon giftcards. I could also cash my SB out for Paypal cash too, which is what I used to do. But I shop a lot on Amazon, and buying a $5 Amazon giftcard only takes 450 SB, but to get $5 in Paypal it’s 625 SB. So it’s a better deal for me to take my earnings in Amazon giftcards. I also own a rental house which the IRS considers to be a passive income source. But as of right now it only rents for about $50 more than the cost of my mortgage, real estate taxes, and insurance. So it’s really not earning me much passive income. Any big expenses, like when the water heater needed to be replaced, eats up any profits. I’ve been lucky to have a long term tenant in the home, so I haven’t had any loss of income due to vacancy. But of course that could change at any time. But beyond the few dollars a month profit I make, the real income is that my tenant is essentially paying down the mortgage and if the real estate market ever recovers, any appreciation on the property will also be a source of income if and when I sell the home in the future. I also own some stocks and mutual funds that pay dividends. However, I don’t have very much invested right now. But this is another example of passive income. I have my accounts set up to automatically reinvest any dividends into buying more shares. Which in turn, earn more dividends, which buy more shares….and on and on. I’ve often thought about how I need to set up a separate brokerage account that only have dividend paying stocks and mutual funds in it and then fund it only with the income I’m earning from other passive income sources. For example, the $100-$200 I earn every month from Mr Rebates is a good example. Then invest that money every month. Then my passive income is even earning me passive income! Of course a savings account is probably the most basic form of passive income. You put in money and it earns you interest, normally paid out monthly. Then that interest also earns interest. But savings account pay a very low rate of return right now. You’re lucky if you can even find one that pays 1%. So let’s see how much passive income you are really making from your savings account. This almost makes me want to pull my hair out. So if I write a Squidoo page that then goes on to earn me at least $10 every month, that’s equivalent to the passive income I would earn from $12,000 in a savings account. I think I’ll write more pages. I know I already posted about how I earn money from cash back websites, but I wanted to post another picture from my dashboard showing you some more of my earnings. This is hands down my MOST PASSIVE income stream that I have, because once I refer a member, they keep earning me money over and over again with no additional work on my part. I refer members to Mr Rebates because it saves them money on their online shopping by giving them free coupon codes and giving them cash back rebates for their shopping at more than 2000 online stores. This SAVES them money and it’s free, so it’s easy to refer people. Who doesn’t want free money, right? Most people know about using coupon codes online, but many don’t know about cash back rebate website. It’s like giving them FREE MONEY. And when I refer people to Mr Rebates, every time that person shops online and using the Mr Rebates program to collect cash back on their purchase, I get a referral bonus that’s equal to 20% of the cash back that they received. This is paid from Mr Rebates pockets, not the shopper I referred. They still get all the cash back they are supposed to earn, whether or not someone refers them. The great thing about it is that I earn EVERY time they shop. Over and over again. So every time they get cash back, I get cash back too. If you can refer people who shop online a lot, or refer small businesses or sole proprietors who may order a lot of business or office supplies online, you can really start earning a good amount of income. As you can see from the picture, I have more than $1000 pending in my account. This will be paid out to me in the next 90 days. That’s more than $300+ a month. My “available” cash back is pretty low right now because I just requested and received payment from my available cash back. I usually request my cash back that’s available every single month. Once you request it to be paid out to you, they send you a check or Paypal on the next 1st of the month. So I always wait until the 30th or 31st, then request to be paid, and I receive my money in my Paypal account on the 1st. If you would like to join Mr Rebates for free and start earning cash back on your own shopping, as well as earn referrals bonuses for anyone you refer, you can join for FREE here – Plus you’ll get a $5 sign up bonus. Here’s a screenshot of the payments I’ve received in the last 12 months from my earnings from Mr Rebates. 95% of this is from referral earnings. I’ve been paid more than $1500 in the past 12 months, and as you can see from the “pending” balance in the picture above this one, I have another $1100+ to be paid out to me in the next 90 days. That means I will have been paid more than $2600+ from them in a 15 month time period. And my monthly earnings just keep growing as I add new shoppers each month. My old referrals keep shopping, and as I add new referrals I have more people shopping and earning me referral bonuses. They get cash back on their shopping and I get a referral fee. It’s a win-win for everyone! in a 15 month time period! March 9, 2012: After purchasing, reading, and implementing the Squidoo Shortcut to Money eBook about making money on Squidoo, I looked to see if it had an affiliate program that I could earn commissions from if I promoted the book. I thought the book was useful and had valuable information in it, so I would recommend it to others even if it didn’t have any type of affiliate program. I put a paragraph about it on my Make Money on Squidoo lens, and also my Squidoo Case Study lens. Adding these links as affiliate links on my already established lenses have now given me another “seed” of passive income. Update on My Results after implementing the Tips from the Squidoo Shortcut to Money eBook. After reading the ebook, I created a new Squidoo lens using the tips that Lisa taught in her ebook. It is now 10 days later, and my lens got 80 visitors yesterday, and already has 78 visitors today will 6 more hours to go. Even though I’m already making decent money online with Squidoo, there’s always more to learn, and different ways of doing things. Lisa’s strategy is actually opposite of how most of my lenses are written, and with the success of the first lens I wrote following her tips, I’m excited to make more lenses like this. It’s a great compliment to my current lenses. UPDATE I just wanted to update my results with the Squidoo Shortcut to Money ebook. After reading the ebook, I made a lens on the type of topic that the ebook suggests. That lens was made a few weeks ago, and has had 280 visits in the last week and had 78 visits yesterday alone. I feel like it has been a huge success, and I highly recommend the ebook. I made another lens using the techniques Lisa recommends in her book and I’ve had more than 620 visitors to my lens in its first 12 days, and 550 of those were from Google. I need to start making more lens following this principles taught in this ebook. I hope if you buy it you’ll have the same success. I guess this new Squidoo page that I’m writing right now also qualifies as a new seed of passive income. It can earn ad revenue share if it gets ranks high enough within the Squidoo network. In addition to that if anyone sign up for any of the programs I’m using to create my passive income, many of them have a referral program that will somehow compensate me when others join from my link. This may be by giving me a referral fee in cash (cash back websites), or by giving me a share of ad impressions (Best-Reviewer), or giving me points redeemable for giftcards (Swagbucks). So this page in itself is also increasing my passive income streams. UPDATE: After focusing on pages 12-20 of the ebook, I created a lens that is now 2 months old. It has gotten 33,189 visits in the past 2 months and 40,888 pageviews. It has made 35 sales and it’s NOT a product lens. It was made at the end of April so in April it didn’t qualify to be included in the tier payments. But for April and for May it will qualify to be in the Tier 1 advertising share, earning approx $50 per month, plus the commissions from the 35 Amazon and eBay sales. ******BAD NEWS UPDATE: Update: I’m removing all the links to the Squidoo Shortcut to Money ebook, because Squidoo is making Lisa stop selling her book. Somebody else (not her) was spamming Squidoo members about the book, and Squidoo is now making Lisa stop selling her book even though it wasn’t her that was spamming. (Really silly on Squidoo’s part, in my opinion). So I’m leaving up all the info on the book, because it’s good website content I’ve already written about. But I will be removing all links, as the book will no longer be available to buy. I also published another Squidoo lens about the keyword research tool that I use that really helps me a lot with getting good traffic to my pages. Jaaxy Keyword Research Tool Review. Jaaxy is not only essential to how I get good traffic to my pages (more than 120,000 visitors per month), but it also has an affiliate program. Because I use it and love it, I can recommend it to others. And I earn commissions every time someone signs up for the keyword tool through my link. And because it’s a monthly subscription service, I earn residual commissions every month they continue their membership. Being an affiliate for a monthly subscription is a great way to earn residual income over and over again. March 11, 2012: Today is Sunday, so I only did a few minutes of work today and spent most of the day with my family. But the great thing about passive income sources is that even though I was out hiking and playing at the park with my kids, my websites were still working for me and making sales. That’s the whole point of me doing this work up front….to be able to then go off and do other things, while my previous work makes money for me. Today, I added some Google Adsense code to a website I have had for about 6 months. I don’t have very many pages on the website yet, which is why I hadn’t added any Google ads on it yet. But my traffic is picking up, so I figured I might as well put some adds in the sidebar and at the bottom of my posts to monetize the site a little bit. I’ll just have to wait and see how it goes. I need to add more pages to this website, but I’ve been focusing a lot of my time lately on building more Squidoo pages. March 12, 2012: I applied to some new affiliate programs within the Commission Junction network and received notice today of being approved for a vendor that sells an exact product that I featured on a few of my Squidoo pages. Now I have some new links to add to my pages. The benefit of using some of your own affiliate links on Squidoo pages is that the commission are normally higher than the 4.25% you’ll get from the Squidoo Amazon modules. And although Amazon carries many products, they don’t always carry everything. Some times people want a specific type of product color or variation that may not be on Amazon, but may be carried directly on the vendor’s website. If you are an affiliate for the vendor, you can put a few product links on your pages and earn some more money. March 13, 2012: I’m only a few days into the log book, but I love that I’m keeping myself accountable to getting action items done everyday. What I mean by that is it’s really easy for me to waste my time looking at stats, reading forums and blogs, and thinking about what I’m going to do next, but yet not get any real action items done during the day that will actually translate into increased passive earnings in the future. Having to write down that I actually did something in this log book is motivation to get at least one action item done per day. Today I used my keyword research tool’s affiliate search program (which I had never really used before) to find a great merchant that sells fuchsia heels. I have a Squidoo lens about Fuschia Heels that is getting OK traffic and making good sales from the hot pink shoes I have listed for sale from Amazon. When someone buys through the Squidoo module, I make 4.25% commission. If someone buys through my own Amazon affiliate link, which I also have on the page, I make 6.5% – 7%, depending on how many sales I had that month. But by using my keyword research tool’s affiliate search function, I was able to find an affiliate that has all kinds of fushcia heels, plus they offer free 2 day shipping, just like Amazon does (and free returns, which is even better than Amazon). And the best part for me is that the commissions are 14.5%, with a 120 day cookie. If you don’t already know, Amazon.com’s cookie is only 24 hours! Which means after clicking on my link if the buyer doesn’t purchase the shoes within 24 hours I don’t get the commission. If they come back to Amazon a week later and purchase the shoes, I don’t make a commission. But with the Heels.com affiliate program, after they click my link there will be a cookie on their computer that will give me the commission even if they come back 120 days later and make a purchase! That’s like increasing my potential buyers by 120x. Not to mention that the commission itself is more than double my own Amazon affiliate commission, and more than triple the Squidoo amazon module commission. 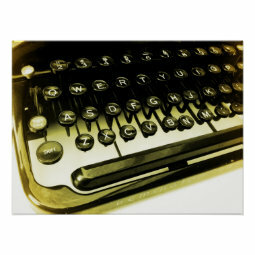 My husband brought me home this old vintage Remington Rand Streamliner typewriter that he bought for me at an auction for $20. (I love old vintage collectibles). 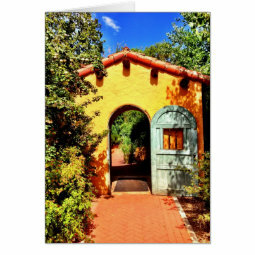 I photographed it and made it into a postcard for sale on Zazzle. If anyone buys my postcard I earn a commission. Another passive income stream. Today I received an email that I made a sale that resulted in a $46.56 commission to me. And it’s for a product that I totally forgot about and haven’t been actively promoting anywhere. But my links are out there on webpages and someone clicked one of my links and purchased the product, resulting in a commission to me for $46.56. That’s the power of using websites for passive income. You can write something once, but it can still make you money, even if you forget that it’s even there. And in addition to that I logged into my Zazzle account to find that I earned another $66.11 in commissions plus $15.34 in volume bonuses for a total of $81.45 in pending commissions. These were from invitation sales that are on a separate niche Squidoo account that I had forgotten that I even had. I even forgot my login for that separate account. I finally found my Squidoo password to that account and logged in to check on it. I found that I had 3 other Amazon from my Squidoo modules. Another example of writing the content up front, then letting it do it’s work without you. The webpage makes you money well into the future, even when you forget about it! That’s passive income. Lancome Free Gift with Purchase 2012. Every single new blog post and new webpage is a potential new passive income earning source. It stays online getting traffic for years after I have put in the time and work to write the post. People continue to search for the topic and find my pages. Many of my pages have some type of link to a product for sale, or in this case a link referring someone to a cash back rebate program which will pay me a commission for referring new members. So once the page is online is have the ability to earn me residual income from my one time effort of creating the page. And even if the blog post is time sensitive, like this one is, I have Google adwords at the bottom of every post. If the reader didn’t find what they were looking for in my post, then they can click on any of the links within the Google adwords block and I’ll earn adsense income from that. 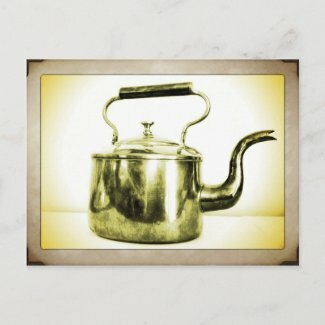 I’m happy to report my very first sale on a postcard I created on Zazzle from a photo I took of this old copper tea pot. 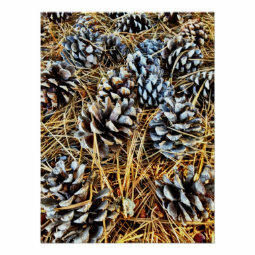 I recently have been taking some great photos with my iPhone, editing them in the Camera+ app, then creating postcards and mousepads on Zazzle. 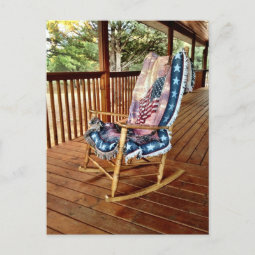 Zazzle is a print on demand website where you can upload photos and create all kinds of products like tshirts, postcards, stickers, iphone and ipad cases, custom teapots, and more. 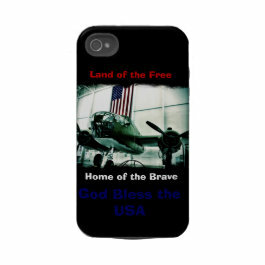 The great thing about it is Zazzle creates the products once someone orders it and ships it to the customer. 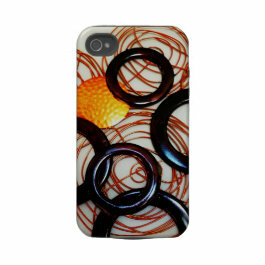 All I have to do is create the product from my photographs and post them for sale with a description of what they are. As a seller you can choose to set a royalty commission amount, which will be your profit on the item that is sold. After reading facebook comments about the Squidoo community, reading some blogs articles about how to use Pinterest for your small business, and checking stats, the time has flown by and I haven’t done an “ACTION” item yet today. So I figured I better at least get a blog post up on my coupon codes/cash back website. This site earning me passive income in a couple different ways. 1. My posts get new referrals to sign up for Mr Rebates and Ebates cash back, which pay me a commission. The Mr Rebates referral bonuses can be very long term residual income for me. Secondly, the posts also have Google Adsense on the bottom of them. Even when the post is outdated, for example when a coupon code has expired or the promotion is no longer running, the blog post can still make me money with the Google Adwords. If the reader doesn’t find what they are looking for on the post, then they may get to the bottom and click an ad, which earns me money. So every new post is a seed of passive income. That posts might continue to earn me a little bit of money for months and years to come. The more posts I write, the greater my passive residual income. I also worked on another website of mine that I started and haven’t really worked on much yet. I added in some links over to my Squidoo pages, and I added a new post. Online Antique Shop. I don’t really have a plan with this website yet. More to come. Last week I just added Google Adsense to it, so we’ll see if it starts earning any money. I worked on some new posts and pages for my eantiqueshop.com website. Once I get enough pages and post up on this website I plan to apply to the eBay partner network and be able to put my own links on the page. I worked on some new antique posts and pages for my Antique Shop Online website. I didn’t make any new pages today or even any new blog posts because we were busy celebrating my younger son’s 5th birthday. He invited all his classmates from preschool and we had a big party. My older son’s birthday is tomorrow and he turns 16. My kids are growing up fast! It’s amazing what kinds of things I can get done when I am procrastinating getting my income taxes done! This website is a work in progress and I will probably concentrate my immediate efforts on getting as many pages done for this website as possible in the new few weeks. Please stop over to my new website and leave me a comment about what you think of the design, colors, etc. Thanks! Please stop by and leave me a comment on my new website. What do you think of the layout and the colors. I’m still trying to decide how to best set up the menus for easier navigation. Today I didn’t add any NEW pages, but rather added some more relevant products to some of my existing pages based on keywords that were already bringing me traffic to my pages. This is a great way to increase your earnings on pages you’ve already developed. If Google is already sending you traffic for certain keywords, make sure your page is giving your customers exactly what they are looking for. I really don’t worry about adding things if Google is only sending me 1 or 2 visitors per month for a particular keyword phrase. But if Google is consistently sending me 10 visitors a month for the same phrase then I better make sure that I have exactly what those customers are looking for. Today I earned my first income from this new website from the Google Adsense ads on the pages. Today I earned $0.91, which isn’t much but to me it shows me the great potential of this new site as a revenue source. All of the products I feature on the pages are Amazon associate links, so I’ll earn a commission if someone buys one of the products. In addition to that, there are Google Adsense ads on the pages, which can earn me revenue if someone clicks on one of the ads. That’s really encouraging to me is that I just started this website less than a week ago and I’m already getting traffic as well as starting to earn money. Since it’s the beginning of April I’m starting to receive my payments in from various income sources online. Yesterday I received $268.31 from Mr. Rebates. And I still have another $520 that’s pending and will available to be paid out to me over the next few months. This is probably one of my most passive streams of income. The members I’ve referred to Mr Rebates in the past continue to shop online and collect cash back rebates from Mr Rebates. And I continue to get a referral bonus every time they do. I keep adding about 10-15 new members each month from various links I have around the web, but for the most part, all these earnings are completely hands off. I just log in and request my payment once per month (you have to actually request your payment, it’s not automatic). I also received $56.25 from another passive income source today. When writing my new blog pages and also when picking the urls and titles for my Squidoo lenses, I am using a keyword research tool called Jaaxy. I’ve had a lot of success using this. One of my lenses that I started in January 2012, is already #1 in Google for my selected keyword. That keyword phrase alone has gotten 1278 visits in the last 30 days – just for that one keyword phrase. The total traffic has been 4,960 in the last 30 days, and most of the visits are for variations of that same keyword phrase. 3,471 of those visits have come from Google search results. Needless to say, I have been very happy with my results that Jaaxy is giving me. It’s really easy to use and gives you the traffic statistics, but more importantly it analyzes the competition for you and shows you a simple green dot for phrases that it thinks you will have a good chance of getting onto the first page of Google. It shows a yellow dot for phrases with more competition which would make it harder to get onto the first page of Google search results. And it shows a red dot for phrases with stiff competition, making it very difficult to get onto Google for that phrase. I must pick the phrases with the green dots and good traffic numbers and I’ve had good success so far. But, it does have a monthly fee of $19. When I first decided to try it out I told myself that I would join and use it for one month and see if I thought it helped me. If I didn’t see the value in the keyword research tool, then I would simply cancel my subscription and only be out $19. But after just one month I was already seeing results so I kept the monthly subscription and haven’t looked back. It’s made me more than ten times that much per month from new pages I’ve created using the tool. For me, it’s no question that it’s worth the money. Still building new pages for my new website. Right now I’m looking at the traffic I’m already getting from Google and making sure I have an entire post or page dedicated to that topic. For example, today I got a visitor who searched Google for “baby turtle crib set”. They landed on a page that did have a baby turtle crib set, but only one, as it was included in another topic. So I made an entire page featuring different baby turtle crib bedding sets. I figure that if someone searched Google for that phrase and got to my website when I only had one item featured, then if I make a whole page on the topic I’ll get even more traffic. So here’s my new page just for Baby Turtle Crib Sets. Right now, I’m in the building stage, so I’m on the front end of the passive income continuum. I’m working right now. Building new websites. These websites hopefully will start to earn money and get to the point that they no longer need work put into them, except for minor maintenance. But the websites will still bring in money. That is my goal. This new baby bedding website is already starting to earn income, and today it has a little bit more Google Adsense income. I haven’t made any sales on Amazon yet, but hopefully that will come soon too! I’ve had a few people ask me what hosting service I am using on my new website, Cute Crib Bedding Sets. I use Bluehost for all my websites. It’s only $6.95 per month for an unlimited amount of domains on one account. It’s also really easy to implement the wordpress script if you want your website to run on a wordpress blog. I also purchased my domain name, www.CuteCribBeddingSets.com, through them also. It’s much easier to buy your domain name through the same company as your hosting service. Otherwise you have to transfer the domain and that can be a little bit complicated. I still haven’t figured out how to transfer some of my domains that I bought elsewhere. So from now on, I simply buy all my domains through BlueHost, and host them there. It doesn’t cost me any extra to host more domains, as long as they are on the same account. I had been neglecting some of my other websites, which are really still in the “building” stage. So here’s some new posts on some of my other sites. I’ve had a few domain names that have just been sitting around collecting dust and not making any money, so I’m going to repurpose them into something else. Today I worked on setting up the template for FiveGreenLizards.com, which is just going to be my catch all website for whatever I want to write about in regards to making money online. The name, five green lizards, refers to the fact that we are a family of five, making money online, and living in the Arizona desert….so five green lizards. I had also bought the domain name GiraffeBabyBedding.net, so I am going to start that with some giraffe baby bedding items and nursery decor. This will be a website which talks about giraffe nursery items for sale on Amazon. It will make money from both Amazon associates program and also adsense. Please stop by my new sites and leave me a comment about how you think it looks, as I am just playing around with templates and themes and trying to decide exactly how I want everything to look. The Power of Passive Income – Today I am reminded of why I am doing this. Why I am working each day to plant one more seed of passive income. A seed. Which is buried in the soil at the beginning. And does nothing for a while but take up water and sunlight and need the farmer’s care. But then it starts to grow. The farmer is encouraged to see the plant emerge from the ground. This is like a new webpage earning a few cents in Adsense income or maybe making one small sale in it’s first month online. The plant continues to grow. For months it grows. It is not ready for harvest for months later. But once it is mature it produces fruit. And continues to product fruit. Just like a website I create. In the beginning I may be encouraged by a few sales here and there, but overall the website still needs a lot of care and tending too. But as the website gets older and more mature it needs less attention from me. One of my websites that I created 8 months ago just had $20,000 in sales in one day. These sales are affiliate sales so I only get a small commission percentage on the sales, but from a page that I made 8 months ago and have done virtually nothing to since then, that’s great. And that’s passive income. I am continuing to set up new websites using domains I already own. I am talking with a friend who might help me write some content for all the new websites I am creating. I’m trying to leverage my time a little bit. And I would also like to teach my friend how to do what I am doing online to help her make some extra month and get out of debt. Working on another new website: Giraffe Baby Bedding. I have been busily writing posts about throw pillows on my new webite called BuyThrowPillowsOnline.com. It’s all about decorative throw pillows, featuring unique designs created by artists and photographers. All the pillows are sold through Zazzle, and are affiliate links that give me a commission if someone buys them. These pillows are designed by other people. I am promoting other people’s products. I already have a ton of pillows listed on the site, but I need to go through them and write up individual descriptions of each pillows, which will take me a long time. So that’s what I will be working on in the near future. ***Update – My first sale from this new throw pillow website was made on April 14th. I sold two orange throw pillows. 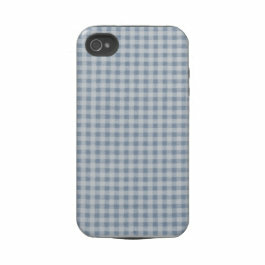 Do I ever sell my own products that I have created on Zazzle? Yes I do, but only a few. 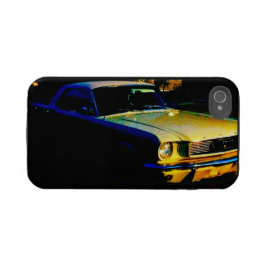 It takes a lot of time to take a good photograph, upload it to a product, and get it all set up on Zazzle. I’m not an artist, photographer, or graphic artist, so this is difficult for me. 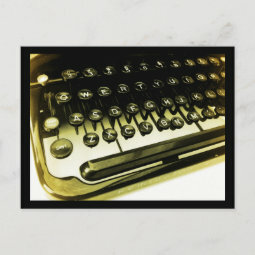 But here is one of my products, a typewriter mousepad. I am working on getting a friend hired to help me with writing some of the content and descriptions on my throw pillow website. It’s just too time consuming to do it all myself. I will be back later to update you on how this is going. A passive income business is one that can run itself without the owner being present or working in the business. My goal is get my website businesses set up to run in such a way that they make money without my involvement or work. Hiring someone else to help do some of the work is the first step towards this. Today I worked on securing some domains names that were up for sale on GoDaddy Auctions. These were expired domains that already were at least 10 years old. Since domain age is a factor in how Google ranks websites, it is worth it to me to spend a bit of extra money to buy an aged domain name instead of just starting from scratch with my own domain. Especially if I don’t have one particular keyword phrase in mind to target, but rather a general theme I will be writing around. If I find a keyword phrase that I really think could do well, then I would try to get that exact match domain name even if it’s brand new. But if I don’t necessarily have a keyword phrase, but that just a topic, then I’ll look to see if that topic is available in an aged domain. One of the domains I was able to purchase was 11 years old with a Google pagerank of 2 and already has 404 backlinks to the domain, all of which are important in how Google ranks a page in their search results. I ended up getting into a bidding war with one other bidder which raised the price considerably, so I ended up winning the auction with a final price of $135. Then I’ll have to pay $20 or so for one year domain registration and private domain registration. My plan is to develop this domain with my own new unique content, then apply to the eBay partner network program for this website. Once I am approved with this website through the eBay affiliate program I will be able to add eBay auction listings to the page and earn commissions. I have had good success with some of my pages on Squidoo selling eBay products, however through eBay I have to split the commissions with Squidoo. So if I can develop my own websites around the same topics I hope to be able to double my income. Of course, it will harder to get traffic to my own website than it is to my Squidoo pages, but I hope that by buying aged domains that already have some backlinks pointing to them, I’ll have an easier time doing this. This is a way for me to diversify my passive income a little bit. Although this is still online passive income, it will not be subject to the rule changes that Squidoo seems to all of a sudden come up with. I will be allowed to do whatever I want on my own website. I can use Squidoo as my “testing ground” for website topics. By seeing what works for me on Squidoo and the traffic I get and sales I make, I can zero in on the most profitable topics worth building my own websites around. They way I see it, if I can’t get on the first page of Google with a topic on Squidoo, then there’s no way I would be able to do it through my own website. I can also see what items sell the best on my Squidoo pages and start writing about those specific topics first on my own websites. I’d also like to report that I had my first sale on my Buy Throw Pillows Online, which I started on April 9th. I sold two orange throw pillows from Amazon, earning a commission of $3.38. Not much, but hopefully this is the first sale of many more. I also sold a few throw pillows from Zazzle, which earned me a commission of $19.49, but I don’t know if that sale resulted from a click from my new throw pillows website or from my Damask Throw Pillows website. As with many of my projects I am still in the building stage for the pillow website, although for the damask pillow page on Squidoo I haven’t done anything with it since the week I created it. It’s currently sitting on page 1 of Google for the keywords “Damask Throw Pillows”, although it’s at the bottom of the page. I wanted to buy another domain that was 14 years old and had a PR of 2, but I forgot the auction ended at a certain time and I missed out bidding in the last hour and someone else won the auction. I am bummed that I missed out on that domain. I added a few more posts to my throw pillow website. The website is set up on a wordpress platform (self-hosted), so any new posts I make show up on the home page, giving me new content on my homepage. Today I added some Adsense code to a website I started a few weeks ago. My traffic is already at about 30-50 visitors per day, so I figured it was a good time to add some ads on my pages. I’ve already gotten a few clicks today, so I’m hoping this website might do well with Google Adsense, which hasn’t made me very much money on any of my websites yet. Just finished a new blog post about how my Amazon Associates income has quadrupled for the time period of Jan – Apr 2012 compared to the same time period in 2011. Still building my passive income streams. Today I posted some new posts to my Throw Pillows website, based off of keyword phrases that people who have landed on my website have been searching for. It was fun to put together a page about really cute owl throw pillows and also one about black and white monogram throw pillows. Make posts and pages based off the traffic stats you know about is a great way to increase sales because you are already getting visitors for those topics. So by expanding your products for sale based on those keywords you hopefully will increase your sales. For example when someone came to my page looking for a black and white monogram pillow I only had one pillow featured that fit that description. Well, if the customer didn’t like that pillow than they probably didn’t even click on the link that would have shown them other designs. But now I have an entire page full of different designs, so hopefully Google will now send them to that specific page. 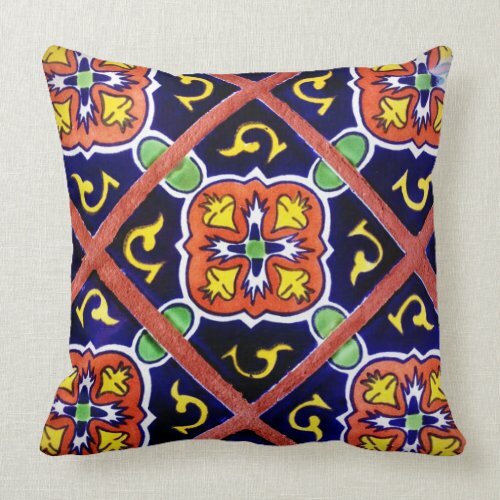 I created this Southwestern Tile Pattern Design Throw Pillow for sale on Zazzle from one of my photographs. Then I wrote a featured post about it on my throw pillows page. I think I will also use it in the sidebar as an example of the two different sizes that the throw pillows come in. Right now I’m just using someone else’s pillow for the size examples. But by using mine, my pillow will be in front of all the visitors to my website. 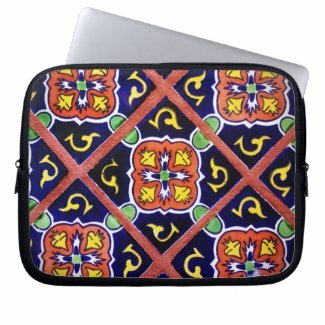 Yesterday I asked in the Zazzle forum for unique designed throw pillows to promote on my website. I was looking for ideas of things that I would have never thought of to promote. I got some really good ideas from sellers and adding some unique categories like motorbike trials, equestrian jumping, abandoned buildings, fractals designs, and more. I can’t believe how much I am enjoying adding throw pillow designs to my new throw pillow website. I’ve been primarily promoted the pillows on Zazzle, but I have also listed some pillows now from other stores. I will earn affiliate commission from these other links through the VigLinks afilliate network. This is the first website I have put these this program on so I’ll have to see how it goes and report back to you. But basically it automatically changes your links to an affiliate link if that store is within their network. For example I linked to some outdoor throw pillows for sale on Overstock.com and HomeDepot.com. When the visitor clicks on those links, VigLinks will track the link as an affiliate link. They take a cut of the commission if an item sells and I get the rest. This saves me the hassle of applying to every single store’s affiliate program and logging into different affiliate networks to tediously go and get the affiliate link. It almost automates the whole affiliate link process. Like I said I just started using it so I’ll have to report back on how it works. Of course, like all affiliate programs, it is completely FREE to use. It seems like a really easy way to automatically monetize any website or blog, especially if you commonly reference cool products you liked in stores. I’m excited to report that after inserting the VigLink on a few of my websites I started earning money the very first day. What is VigLink? It’s an affiliate network program that uses a script placed on your website to automatically turn any links you have on your page into affiliate links that can earn you money. They are affiliated with thousands of merchants. You can earn money in two ways. Some of the merchants pay you whenever someone clicks on a link. And other merchants pay you when someone clicks your link then makes a purchase. The reason I earned money the first day is I put some links to pillows from Overstock.com onto my website, and Overstock is one of the merchants that pays per click. I had a few clicks on the pillows that very first day, and I earned $0.30. My main goal for joining Viglinks was to be able to monetize some of my websites that send a lot of traffic to eBay. I have applied to the eBay Partner Network numerous times with numerous different websites and they keep denying my application. But I found that VigLinks does work with eBay. However, not everyone can earn affiliate income from eBay through VigLinks. Their website says you need to apply through them to get monetized for your eBay links, but I read on a forum somewhere that someone said they start monetizes your links once your website starts sending a certain amount of traffic to eBay. I’m not sure which it is, but I had sent an email to them asking what I need to do in order to get affiliated and make money from my eBay links. But I sent an email to the support team and they must have look at my stats and seen how much traffic I was already sending to eBay and they approved my account to earn for eBay. This solves a HUGE problem I had on how to monetize my websites that were sending loads of traffic to eBay (since I couldn’t get approved for the eBay Partner Network)! I’m really excited to see how much revenue I can earn from VigLink from my websites that are eBay based, because the VigLinks eBay program pays based on clicks, and I send a lot of clicks per day. This is completely different than how I am paid for eBay sales here on Squidoo, which only pays you when you sell an eBay item. This tool opens up a entire new door to earning passive income for me (and you too)! 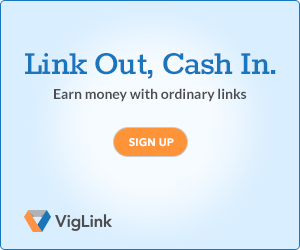 If you have any type of blog or website that has a ton of unique articles on it that references different websites or products you like, then you could start monetizing that content automatically by joining the VigLinks network. After you install the code, it will go back through all of your old posts and pages and update any existing links so that when someone clicks on a link, if that merchant is part of the network, you’ll earn money if they make a purchase. Also they have a suggestion tool that will automatically suggest product related to your content and insert applicable links. And don’t worry, the dashboard gives you the option to keep any existing affiliate links on your website as is, or to override them with a new VigLink affiliate link. How much can you earn? Viglink makes money by taking a cut of the profits paid by the merchants. They keep 25% of the commission and you get 75%. So you are getting less than if you put in affiliate links on your own. However, it opens up a huge door to thousands of affiliate that you may not be a part of. For example, in my case, I haven’t been able to get into the eBay Partner Network myself. And I also applied to the Overstock.com affiliate program a while back and was denied for that too. (I think I don’t get enough traffic). However, now, as a part of Viglinks, I can put links to both Overstock.com and to eBay on my pages and those are now affiliate links. I think this would be great for any established blog that talks about how much they love these shoes or purse or something they saw in a store. But they don’t have any of those links monetized. In fact, I’m even thinking of looking for established websites to buy that currently don’t make any money but have a lot of product related content on them. I think mom blogs would benefit a lot from this. They don’t give you a list of the merchants that are a part of their network. Instead the give you a search tool where you can type in the url of the merchant you want to know about and it will tell you whether or not it’s a part of the network. To me this is really frustrating. Along those lines they also don’t tell you which merchants pay based on sales and which pay based on clicks. Also very frustrating. Although you will slowly learn which ones pay based on clicks because your dashboard will show you what earn you money and you can see that you earned $0.10 for a click to this merchant. Each merchant pays a different rate, which also isn’t disclosed anywhere on their site. So you really learn by trial and error and by seeing what is actually paying you on the dashboard when you are logged in to your account. Another limitation is the time of the reporting. The click reports are not in real time, and I’m not sure how often the reports update. For example I can log into my website and see that I have had 20 clicks over to eBay already today, but my VigLink account doesn’t show any stats for today yet. So I don’t know if it just updates once a day or what, but it’s definently not in real time. Watch this YouTube Video about how VigLink works. This Viglink program might be a good passive income money maker for me. Here are my results from the first 10 days of having VigLink on my website. I earned $16 in the first 10 days. That is because I put it on some of my websites that focus on products that are sold on eBay, and you can earn per click to eBay through the Viglink program. They are a part of the eBay partner network, which pays you based on Quality of Clicks. So if the traffic you send over to eBay is targeted and they end up buying an item (sooner rather than later), they will pay you a higher per click rate. If you only send them window shoppers then you will be paid a lower rate. My average rate for the first 10 days was about 9 cents per click. Considering my new websites aren’t getting very much traffic yet, I’m excited about this way of making passive income. Because all I had to do was install a plugin on my website and I started earning this money. That’s pretty passive income! My of the merchants pay based on sales, so you won’t earn any money unless someone actually purchases something, in most cases. However, like I said, eBay is one of the merchants that pays based on clicks. And I know that Overstock.com pays based on clicks too. So if you have a website that featuring any products from these two sites, you could be earning passive income from Viglink. I worked on a few new websites. I’ve been taking a break from Squidoo lately and concentrating my efforts on creating my own stand along product based websites that can earn affiliate income outside of Squidoo. This should help diversify my online income a bit. 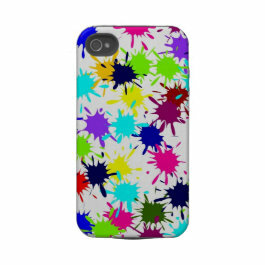 Started a new website featuring electronics cases – Cases – Covers – Skins. This websites cost me $21.90 per YEAR. That’s for the domain name and privacy registration. They are hosted on my main account at Bluehost, which allows me unlimited hosting on one account, so the hosting is in essence free. I had $80+ in commissions in an affiliate program I totally FORGOT about! Last night I was checking my email and I almost missed it. An email from the AllPosters.com and Art.com’s affiliate programs telling me I had more than $80 in commissions ready to be paid out to me, but they needed my W-9 Tax Form filled out first. I logged into my accounts and saw that indeed I had $80+ in commissions just sitting there. What is exciting about this, is the fact that I totally had forgotten that I was even a part of this affiliate program. And to be quite honest I can only really think of one or two webpages that I even added any poster links to. I had joined from the advice of someone else (probably someone here on Squidoo), and then never really did much with the affiliate program. I put up a few poster links and then forgot about it. But those link were quietly working and earning me money. So today, I think I will work on putting some relevant posters and art prints on pages I already have established. They have thousands of prints and it really can serve as a way to get awesome graphics and images on your website for free. Then if your reader wishes to buy the print or poster then you earn a commission. And the commissions are quite nice, earning you a hefty 20%. If you are looking for graphics for your website pages, then I urge you to use an affiliate program like these so you can earn money from your images too! As with all affiliate programs, these are free to join. With more than a million different wall art, posters, and prints, I could easily make tons of lenses focused around specific wall art designs or posters. The trick is to make them on a narrow enough topic that you can get ranked in Google for that specific search term which will bring you very targeted traffic. For example, by writing specifically about Zebra Canvas Wall Art for Kids, I am specifically targeting people who are looking to buy zebra canvas wall art for kids. It’s a narrow topic, and you wouldn’t be searching online for those words unless you were looking to buy that item. 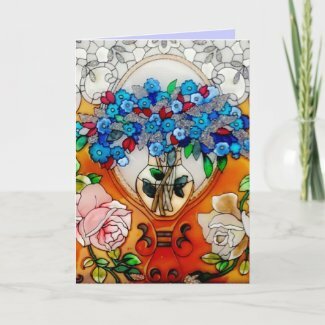 I created and posted this custom greeting card for sale on Zazzle. Perfect for Mother’s Day. Add you own custom text on the inside of the card. I know I haven’t posted in a few days, but I have still been working on increasing my passive income. I have been working on a big project. I recently purchased a website domain that was for sale at Domain Auctions at GoDaddy.com . I paid quite a bit of money to buy an aged domain that is 13 years old with a PageRank of 5, and already has 44,985 backlinks to the domain. Why does any of that matter? Because Google uses those factors, in addition to the content on the website, to determine how to rank the domain in the Google Search results. Right now, the domain is listed number 2 in the Google search results for a keyword that gets 1000 visits per month. And considering that all my other websites get most of their traffic from long tail keywords, not the primary keyword, I am expecting good things in regards to traffic from this new website. I have to wait one week to get actual control over the domain, so starting on the 12th I will be able to upload a WordPress template and start building pages and posts to put on the website. But this week, while waiting for the website to be available to me, I will be building “draft” pages and posts so they are already created and I can just copy and paste the html into my new website as soon as I have control of it. I plan to monetize the website with many different revenue sources. Right now I’m thinking about the main content of the site being informational in nature, supplemented with coordinating products for sale from Amazon and eBay. The eBay links will be monetized through Viglink, which I have discussed previously. I will also use images from the Allposters and Art.com affiliate programs, which will give me great graphics in addition to another revenue source. I will also have earn from Google Adsense, and also I plan to see what the traffic is like in the first few months after I publish my pages, then most likely I will try to sell advertising spots on the pages to local companies that deal this market. This is the first really big project I’ve thrown myself into, so I’m excited to see what I can do with this new website. After I have the site built out this could be a really good passive income earner for me. Depending on the revenue it starts earning me, this might also be a business model in itself for me – Buying aged domains with good Pageranks and backlinks, and building them out into my own website. I’ve read that a backlink from a PR 5 website could be more powerful than hundreds of backlinks from PR0 or PR1 websites. If that is indeed the case, then I can also use this new website to provide valuable backlinks to my already established websites that have a lower PR. I could put some of these links to my other sites in the footer of the template and they would not only show up on the homepage, but on all the interior webpages too. Of course, these will be the most valuable from the homepage because that is the page with the PR5, but having the links on all the pages would give me many backlinks to my websites with minimal effort on my part. All I have to do is put the html into the template once. Although I understand that Google knows these backlinks all come from the same domain. (Google figures into their algorithm the number of pages linking to a site as well as how many separate domains are linking to a site). Anyway, it’s all a learning process for me. But I’m really excited with the purchase of this domain because no matter what I do with a brand new site, I can’t make it any older. The only way to get an aged website is to buy one (or have owned one from the beginning). But since I can’t turn back time, and I didn’t start building websites 13 years ago, then I have to buy them. May 8-11, 2012: I have been updated my new websites and I started a new website today called Home Interior Art. 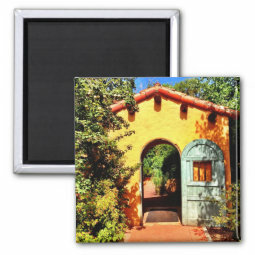 I am using it to sell various art prints from Art.com, Zazzle wrapped canvas prints, and Amazon. Here is a screenshot from one of the pages. Please stop by and visit it. I’m just getting it set up so I’m still playing around with the template and layout and adding pages. The website is set up on wordpress with the Niche Website Theme, which is a paid theme. This is the first website I’ve used with this theme, but I bought it because it has all kinds of layouts, colors, and ad banner slots that you can change with the click of a button. That way I don’t have to try to figure out how to put html code into the theme editor if I want a banner ad to show up on every page. I just put it into the settings on the theme template and it shows me exactly where it will appear and will even automatch the colors to my website colors. As you can see, I haven’t been posting my passive activity ACTION items every day lately. I don’t think it’s beneficial to anyone for me to just say “I’ve been working on new websites” , which is what I’ve been doing. Right now I have so many new websites on my plate that there’s a lot of little fixes that I’m doing that are quite boring to write about. Things like experimenting with templates, setting up the Google Adwords, setting up new categories, pages, and posts. The reason I went off in the direction of starting my own new websites instead of just creating new Squidoo lenses here, is that I wanted to experiment with some other revenue sources, and I didn’t want to share my commissions 50/50 with Squidoo. Mainly, right now I am looking at what I can earn from eBay. Right now I’m using Viglink as the affiliate network, and they have the eBay Partner Network as one of their merchants. You have to email the support staff to get your website approved for the eBay program, but it’s as simple as sending the Viglink support an email and they look at your stats to see if you actually are sending traffic to eBay. If you are, then they will approve you. I know I’ve mentioned before that I have applied three different times to the eBay Partner Network and have yet to get approved. So Viglink has become my eBay revenue source. Of course, I have to split commissions with them, but it’s 25%, leaving me with 75%, which gives me a lot more than Squidoo’s 50%. Moreover, Squidoo takes what eBay pays them, and then they divide it out to lenses with sales, even though eBay pays them by clicks. So in essence, all my Squidoo lenses that have eBay clicks, but maybe no sales aren’t earning any money on Squidoo. But on my own websites, even if I have clicks but no sales in a week, I still earn a little bit. Over time of course, if my clicks were not producing any sales I would be earning $0. I don’t really have enough data yet to say definitively how much more I’m making with Viglink over Squidoo, but so far in the last 3 weeks, I’ve earned about $70 and I’ve only had about $190 in sales. I’m sure that this will go down and be more in line with my sales. I think initially I was pooled into a low traffic group and I was actually earning more than what my sales were supporting. It takes a while for eBay to figure out the value and history of what your traffic clicks are bringing to eBay. You earn more when people buy things, but also when you sign up a new user, and even when your clicks turn into bids. eBay has a value in mind that a new user brings to them over time, so they increase your earnings per click when you sign up new users. Of course the new users have to be actual users that bid on things and buy things. Anyway, I’m rambling. I’m really happy with the passive income revenue stream that Viglink seems to be providing me. I anticipate my earnings increasing as my traffic to these new websites increases. However, I probably need to make some websites that cater to items that sell well at Christmas time, and other holidays, to take advantage of the buying frenzy people go into around the holidays. Right now, all my sites focus on products that sell year around but wouldn’t really do any better at Christmas shopping time. HMMMM, what to do next. I haven’t made many new Squidoo lenses lately because I have been working on many of my own websites. However, this past week I did make one on BSN Syntha 6 Protein Powder. Odd topic, right. It’s a product that I buy all the time online for my son and I figured that if I look online for the best price (which I always find on Amazon), then other people are looking online for the best price too. I think any product that you buy online could be made into a Squidoo lens, if only to tell customers where they can find the best price, or whether or not you liked the product. I’m amazed at how my Amazon affiliate earnings have grown over the last year since I have started making more lenses. Last year in May I only made $45.79 on my own Amazon affiliate links for May 1 – May 20. This year I’ve earned $266.86 over that same 20 days! Quite an improvement! That’s why I keep making new lenses, even if they only focus on one individual product. People are searching online for specific products and the best prices for them. These specific lenses do quite well in attracting very targeted visitors who are looking to buy that exact product, which converts well into sales. I’ve been working on a new vacation / travel website here: Vacation Resorts and Travel Deals. It will feature resort and vacation rental listings on eBay. It will make money through the Viglink program I’ve talked about a few times previously. It will also make money with Google Adwords. I also am putting some vacation photos on there that people have shared under Creative Commons license on Flickr. 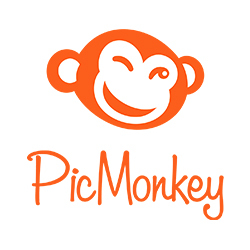 This will show people different photos of different resorts from a vacationers perspective. Are you going on vacation this year? Stop by and leave a comment on my new site and tell me where you would like to go on vacation and why! And let me know what you think of the sharks on the bottom of the website template! What have I been doing this past week to build my passive income streams? Well, I’ve started some new websites, one which costs me $21.90 for the domain name, and has earned $28.43 in it’s first 7 days. I’m pretty happy about that one. It’s already made back it’s 1 year cost, and now everything it makes in the future is just pure profit. I also having been busy with some personal and family activities. 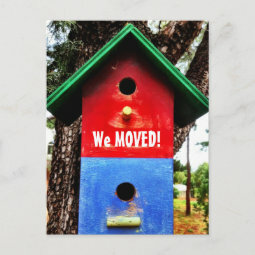 We are in the process of buying a new home, so we will be moving in the next month. I also had a trip planning to go visit one of my best friend who lives across the country. Me and my two younger children will be gone for 10 days. So if you don’t read any new posts for a while, it’s just that I’m busy traveling or moving. When I get settled into my new house I hope to come back and report how my passive income sources kept earning me money even though I had no time to work on anything! Isn’t that the whole point of building up a residual passive income stream? I just wanted to give you a little peek into how this Squidoo page has really helped my online business income explode. Since starting this log book of what “Action Item” I am doing each day, I have really added a lot more webpages and Squidoo lenses that are now making me money. Having to be accountable to write it down online for everyone to read has really pushed me to write a new blog post, make a new Squidoo lens, or start a new website. All of these daily “action items” have really increased my “MISC” income. This is NOT including my Squidoo income, this is just my income from other sources, but some are directly attributable to my Squidoo lenses, like my Amazon Associates income, which gets 95% of sales from links on my Squidoo pages. My “Misc” income, which includes Amazon Associate income, cash back website referral income, Google Adsense on blogs, affiliate income from Commission Junction and Linkshare, Zazzle, Allposters.com and Art.com affiliate income, affiliate income from Viglink (just started in late April) and a few other minor income sources, has really increased the last few months! WOW! That’s a great increase! And this doesn’t include my two main income sources online, which are Squidoo and my Local Small Business Marketing Services. I attribute much of this increase to my increased productivity of doing an “ACTION” item every day. Like I’ve said many times before, if I don’t create a new page, it doesn’t have a chance to make any money for me. Some new pages will be duds and not make much money at all; other pages will make consistent small amounts of income over and over again; and some will take off and make at least $50+ per month from that one page. Just keep creating new pages, because every new page you create has the possibility of being a steady passive income source for you! What did you do today?Leave me a comment below! I’m starting a NEW series on my FiveGreenLizards.com website called How to Get Customers 101. I will be doing actual case studies for various product niches and home based business niches of what keyword phrases how good traffic and LOW competition. I will be showing screen shots from one search giving me about 50 results. I will also be giving suggestions of other keyword phrases that look good to use and what other type of searches you could find. Once you have a good keyword phrase for your topic or product, then its as simple as writing about the EXACT phrase, putting that phrase in your url, titles, headings, tag, keywords, etc. Knowing which phrases have the best chance of getting you onto the first page of Google is such a valuable tool to getting traffic to your website, blog, or Squidoo lens. Join me over on my website and let me know in the comments section what type of product or niche you want me to do a keyword case study on. PS. I’m leaving on vacation tomorrow so I’m might not be back to update this for a few weeks! What do you want me to do a case study on? I am still out of state, visiting many old friends. I am heading back home tonight. I plan to go through my online earnings when I get back and tally up how much money I earned while I was away. This is the whole point of building a residual passive income stream – so that I can be off doing things I really want to do, while still having an income source coming in. I am trying to create a stream of income that once set up, may require a little maintenance, but for the most part, it runs itself, and can earn income even when I don’t put any time into it. I’ve been gone for 11 days, so we’ll have to see how much money I earned during that time from my various revenue income streams. **UPDATE: In the 11 days I was gone, I earned more than $573 in earnings from sources that report earnings to me on a daily basis. That DOESN’T include any income from Squidoo, or any other sources that only report earnings on a monthly basis. Not bad for being on “vacation”! 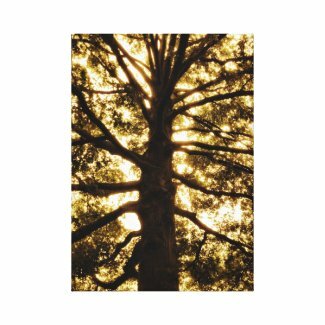 Write down your passive income ideas in this money tree notebook I designed from a photo I took of a tree in my friends front yard in Nebraska. I have many journals and notebooks that I use to jot down ideas and thoughts. If I don’t write it down, even the most obvious idea or solution is only a flirting memory as I get easily distracted and I start thinking about something else, or my thoughts are disrupted by the needs of my family. Think of this tree as your MONEY TREE, with each branch another source of passive income you are building. As the tree matures, each one of the branches grows new leaves and more branches, multiplying your income as time goes on. Yesterday I was in the middle of writing a new blog post on my FiveGreenLizards.com website, when I started having problems and couldn’t save the post. Then all my websites went DEAD. A moment of panic hit. What did I do wrong? I then received an email from my web hosting company saying that they were deactivating my hosting account, which has 28 websites on it, because it was caused performance issues. Of course, I had no idea what was wrong or how to fix it. But the support team was super helpful and looked into the problem. My websites were running really slow and even slowing down the web host server because of a plugin I was using that was pulling an automatic feed too often and requiring too much data at once. So this morning I have been busily working on my websites (which are back up and running now) and adjusting my plugins to correct the problem. I am very thankful that the support team at BlueHost was so helpful to me. I started making my own websites so that I wouldn’t be subject to all the changes on Squidoo that can sometimes throw you for a loop (like them getting rid of the Flickr module, which I use on lots of my lenses). But one of the downsides to being out on your own is you have to do all your own technical updates for your websites. And I’m not a computer geek, so just backing up my websites can be a challenge. But I’m happy to report that everything is fixed now, and overall my websites were only down for about 18 hours. And that’s only because I was really busy last night and didn’t feel like dealing with it, so I waited to call the support line until this morning. But for every second that my websites were off-line I was losing money. This is the first time this has happened to me, and I hope it doesn’t happen again! But a great big Thank You to Bluehost for helping me get it all sorted out. 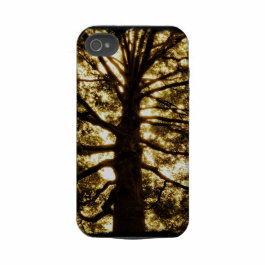 So which do you think will rank higher in Google: my squidoo lens titled “Tree Silhouette Canvas Art” or my Zazzle product page with the same name? I’m going to submit both of them to Pingler and we’ll just have to wait and see. Today I also noticed on Zazzle that I can add html to my product descriptions. I don’t have very many products for sale right now because I’m not a graphic designer or a photographer, so I prefer to promote other people’s items. I still get 15%+ commissions from promoting other people’s products, so why not? Less work involved. No designing needed. 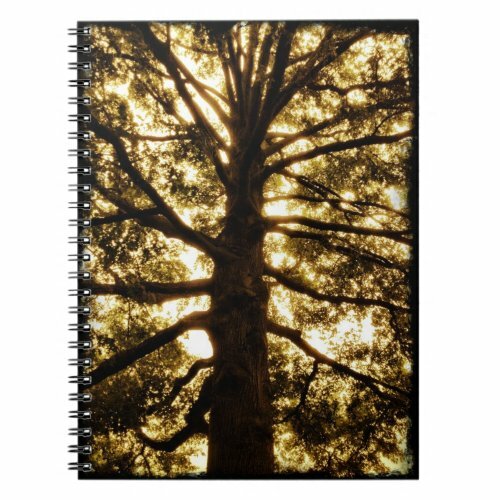 However, I really like that tree silhouette notebook and canvas that I made so I was looking at ways to promote it. 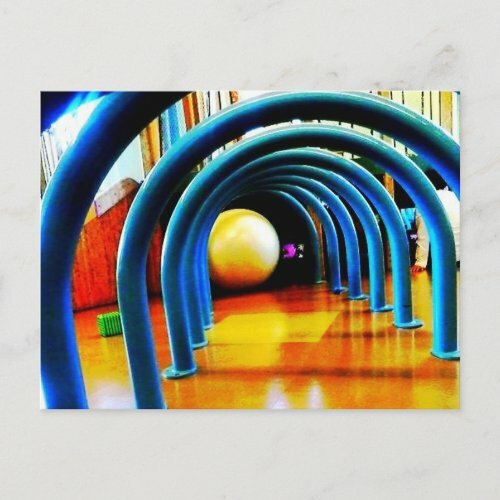 I made a squidoo lens for the canvas art, but I also just discovered that I can use html in the descriptions on Zazzle, including using header tags like H1, H2, etc. Why is that important? Because that means I can more accurately tell Google what that product is about. By writing a longer product description and using the appropriate phrases in html for H1 and H2, I can tell Google the main keyword of my product. The phrase that I want to get found in Google for. Since there are THOUSANDS of products on Zazzle, being descriptive in the text and html helps Google determine what your specific product is, and therefore you are more likely to get shown in their search results for your targeted keyword phrase. I’ll be back to let you know if it increases the sales of my products I’ve designed or not. We are in the process of buying a new house and moving in the next two weeks. I should get the keys to the new house today, and I will be busily packing and moving boxes over the next two weeks. The new house is only a few miles away from the house we are currently in, so I can move a little at a time. So I probably won’t be doing much “WORK” over the next few weeks. As much as I would love to spend hours working online, I have to pry myself away in order to pack boxes! Writing online and making new Squidoo lenses is a stress reliever for me and I love doing it. So maybe I’ll still stop by during some down time after the kids are in bed. My sister and niece are visiting, and I have introduced them to Squidoo. I am so excited for them to start making Squidoo lenses. I helped them how to set a lens yesterday. Please stop by and give them a warm welcome to Squidoo! I made this new lens, although I’ll probably transfer it over to my sister to help get her going on Squidoo. I goes well with her Outdoor Metal Wall Art lens she already made. Fish Metal Wall Art. June 25, 2012: I am supposed to be boxing up everything and moving, but I just can’t help myself. I’d rather be writing new lenses on Squidoo and posting new blog posts on FiveGreenLizards.com. I made these two for my sister, as she is just started out on Squidoo, and I like to help! Stop by and give her a warm welcome – Metal Tree Wall Art and Abstract Metal Wall Art. And she (with the help of my niece) made this one ~ Yummi Land Soda Pop Pets. I just watched the last 10 minutes or so of the new TV show called “Mountain Men”. It’s another one of those reality TV shows that basically documents the life of people who live in the mountains, living off the land. They were featuring a guy in Alaska who took all his furs that he had trapped for the entire season to the fur trading company to sell. They said he would use the money to feed his family. All the furs he turned in for the whole winter earned him $4000, but they said that after his expenses, snowmobile repairs, fuel, etc., he would barely break even. For an entire winter’s worth of work. It made me really appreciate the blessing of being able to earn some income online from home by using my computer and the internet. I can’t even fathom working an entire winter and barely breaking even. I know that there are a lot of people who have lost their jobs in this economy, and a lot of people who are really struggling financially. I feel very fortunate that I have stumbled upon the various ways to earn some income by using my computer. I have always loved to write. When I was younger I would keep journals off my thoughts. I still have them. I have always had on my list of things I want to do in life “Write a Book”. The internet has given me a place vent my thoughts and feelings, write down my ideas, and make money at the same time. I know I am just rambling on and on. I was just thinking about how I wish I could teach that guy how to write some Squidoo lenses that would make him some money. I don’t know if I can teach someone from scratch, who has never even heard of the possibility of making money by writing webpages, how to do what I do. But I guess that is part of the reason why I make these pages like this. I figure it’s kind of like a documentary of what I’m doing, so maybe others can see what I’m doing and incorporate an idea or two into what they are doing. I love to read. And I’ve learned everything I know from reading about it on other websites or articles. I learn an idea from one website, then learn an idea from another website, then see how someone else is doing things. All of these add up to a moment when I will have a moment of clarity and think “I could implement that idea with my topic by……”, and then I go make something. I make a new Squidoo page. 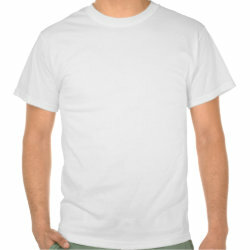 Or I make a new Zazzle item. 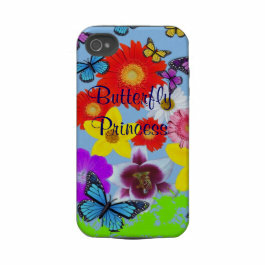 Or I make a new page promoting other people’s Zazzle items. Or I see a new template that I like, and I use it to make a new page on some toy I’ve been thinking about buying my kids. I’m really rambling now. But anyway, I love writing here on Squidoo, but I am also considering dipping my toes into the water of writing Kindle ebooks. But I don’t really know exactly what I would like to write about. Non-fiction How-To books for sure. Something along the lines of what I already write about. Maybe I will write an ebook about how to do the local small business marketing services that I do. I don’t really talk about any of that on any of my websites. I think that might be something I could make into an ebook. The Kindle ebook thing is on my mind because I am sitting here contemplating whether or not I want to spend the $4.99 to buy the Kindle ebook called: Make A Killing On Kindle (Without Blogging, Facebook Or Twitter). The Guerilla Marketer’s Guide To Selling Ebooks On Amazon. No, I don’t have a Kindle. But you can buy any of the Kindle books and read them right on your computer, or on your iPad (which I do have), or other electronic device. It seems like a great way to get an ebook in front of a large audience. There are just so many buyers on Amazon. Instead of trying to write an ebook and promote it on your own stand alone website, why not put it on Amazon, where all the shoppers are. Of course, you need to get found in the Amazon search results for your chosen topic, which is exactly what this particular ebook it about. Hmmmm, I think I’m talking myself into spending the $4.99 for the book. It says it’s 118 pages (Kindle pages), which is a good length book for the topic. I think I will buy it. How long to you think it will be until I write my first Kindle ebook? P.S. I’ve added a debate module below this passive income log section, that asks the question whether you think a Squidoo lens or a Kindle ebook would make more passive income on the same topic. Please voice your opinion below. Thanks. Publishing Kindle Books to Create Passive Income. What did you do today to increase your passive income for your future? Leave me a comment at the bottom of this Squidoo lens! May you have success in all your endeavors! As you know, I have a separate Squidoo account that I use to give my teenage son spending money and in a few years I will be sending him off to college, and I hope to have that account earning at least $500 per month. That would give him $500 a month in income that he doesn’t need to worry about. Along those same lines, I’ve been thinking about starting separate accounts for my two younger children also (one is 5 years old and the other is 2 years old). By putting it into a separate Squidoo account I would then be committed to using that money to fund savings account and college funds for them. I tend to have good intentions with my Squidoo money in my main account, but it seems that I always end up using the money for some unexpected expense. But if I go to the trouble of setting up separate accounts, I have an easier time being committed to using that money for it’s intended purpose. For example, with my teenage son’s account, I always withdraw the money from my Paypal account and give it to him each month. He then sets aside 10% of it for savings, and 10% for tithe, and then he is free to do whatever else he wants with it. What do you think? Should I set up separate accounts and commit the earnings from those accounts to fund savings accounts for my younger kids? Just image what type of earnings would be available to them in 13-16 years. If I started now, maybe I would have enough money to buy them a car when they start driving, and have money put away for college, etc. I could write 1-2 new lenses per month per child. I could then take the earnings and put them into a savings account or a mutual fund, where the money would continue to earn passive income for years to come. Likewise, I should have a separate account that I designate for additional retirement savings or that I designate for “debt busting” and paying off any of our remaining debts. What do you think? Leave me a comment below! It’s almost midnight, so I’m going to go ahead and post this for the 8th. I wish I didn’t need any sleep because a quite house after the kids are in bed is a very productive time for me! 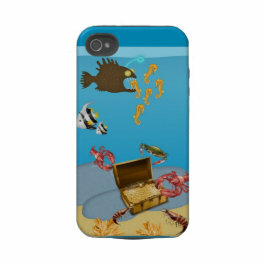 Today I updated some of my Squidoo pages with more products from Zazzle. 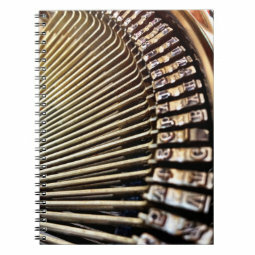 For some of my pages that get a lot of traffic, I am putting some Zazzle items on there that are a match to the topic of the page. 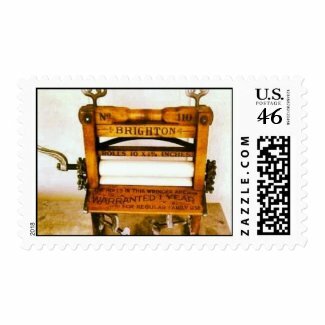 For example, on my page about craft ideas, I put some crafting coffee cups and postage stamps on there. 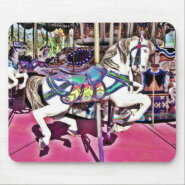 Since I’m already getting a lot of traffic to the page, I hope to increase my Zazzle referral sales by featuring corresponding items. 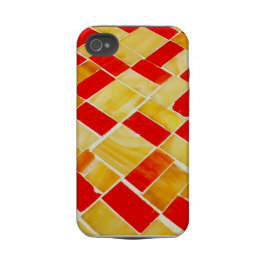 I’m featuring other people’s designs through the Zazzle associates program. The commissions start at 15%, which is great. Today, so far, I’ve set up some new automatic ads on Backpage. For $3.00 you can place an ad that will automatically repost itself every so many days, for 26 times. I normally choose to repost every 3 days. So I get 26 ads posted for $3.00 and they are spaced out to repost every 3 days. Ads work good on backpage for things in the “business” and “business opp” section. If you have a page about some way to make money, those do well. I post automatic ads for a couple of my business niches. And I was just thinking that if every $3.00 ad (26 reposts), got me 2 new customers earning me $5.00 each, then every $3.00 I spend would earn me $10.00, netting me $7.00. There is value in investing some of your profits back into your business, in order to get more business. I’m changing up the format of my posts a little bit and putting each entry in a separate text module so that they all show up in the table of contents and I can also link to specific posts if I need to. Although I will miss the cute little numbers that I get when I use this format, I think it will be more of a benefit to be able to find things and link to each post by using a separate module each day. 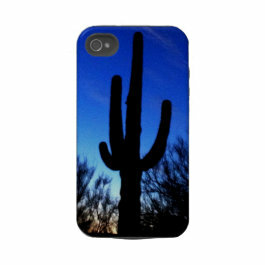 As I have posted many other times on this page, I have a few things posted for sale on Zazzle. 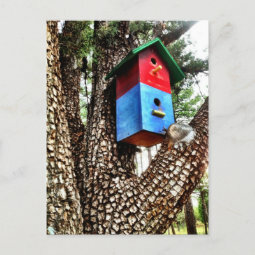 If you like to create things, like photography, or have any graphic design sense, but you don’t have any type of website of your own, you can still create a passive income stream by uploading artwork and photography onto products at Zazzle, which is a print on demand company. However, I will caution you that many of the top sellers on Zazzle say that to really “make a living” off of Zazzle, you need at least 2,000 items for sale in your store. But 2,000 items doesn’t mean 2000 different designs. You could have one design on 100 different products if you want (same design on a coffee cup, mousepad, postcard, sticker, tshirt, etc). 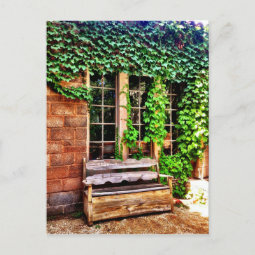 I make more than $100 each month from Zazzle, but most of my earnings are from referral commission, where I use the referral link and link to other people’s products. I group the products together and feature designs from many different designers. This is what works for me. But I do also sell my own products, even though I pretty much do NOTHING to promote them except post them on here. And you would be surprised at what people buy. One of the products I sold was one of my very first designs (when I didn’t know what I was doing) I put the photo on a bunch of different products and I almost deleted the “keychain” later because I thought it was stupid. But, lo and behold, I sold a few of those keychains. I would have thought that keychain was probably the LEAST likely design to sell, but it did. 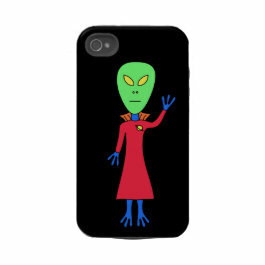 You just never know who is going to land on your product on Zazzle and buy something. And since the products are featured on the Zazzle website, you don’t even need to have your own website or blog to make money. 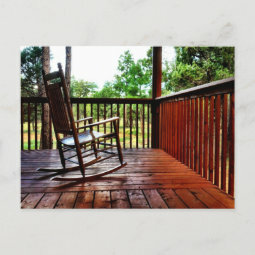 You just upload your designs and there they sit on Zazzle, waiting to be purchased. In order to give your product the best chance of getting found on Zazzle, make sure to write an accurate description of your product and use tags that would be similar to what someone who wants to buy your item would type into the search box. 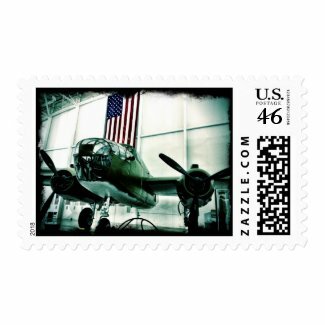 Be specific like “Patriotic Flag Postcards” in your tags. You want to bring the exact buyer looking for your item to your page. Another reason I like to publish on Squidoo ~ I can publish completely random topics on one page. Then something completely different on the next. People are always wanting to know what the most profitable niche is to write about. What topics can make you the most money? And while some topics may be more profitable than others, I say the best topic to write about for passive income is one that you are interested in, ideally interested in for the long term, but it also works if your are interested for only a short while. As long as you are interested in it enough to put the work in to it so its a finished project. My mind is constantly jumping around. And I have a hard time staying focused on one topic. So for all these “little interests”, I use Squidoo to make a one page lens on the topic. If I feel like making more lenses on the same topic, then I do. If not, I don’t. Being able to work on a topic for only one day gives me a sense of accomplishment when it’s quickly published, and also gives me a fresh sense of adventure when I find another small topic I want to write about. Most of these short one page lenses are about products, so one page is enough. I mean, how much can I really say about purple kitchen towels, really? So, in keeping up with all the ideas in my head, I made a lens today about Guitar Neck Ties. My interest in these what sparked after reading a lens by a Zazzle store owner who said that his best selling item in his store was his Guitar Neck Tie. (I’ll link to the lens when I can find it again) So that’s his guitar neck tie featured in the intro photo. That’s how my mind works, sometimes I simply am reading an article on the web and I think “That would make a great Squidoo lens”. I do a little keyword research, then publish a new one page Squidoo lens. If it’s a lens that features a bunch of products, as many of mine do, then it’s a new passive income stream for me. I may only get a few sales from each page, but they all add up! What have you done today to increase your residual passive income streams? Leave me a comment at the bottom of the page! Today, I wanted to post a quick note about what to do when you feel like you are in a slump. Maybe you have been working hard on building up a passive income stream, only to see little or no results, or maybe you are not making nearly as many sales as you need to in order to make ends meet. Today I am having one of those “slump” days. I am questioning whether my efforts are being worthwhile and whether I am really committed to what I am doing. When I feel like this, I find my self aimlessly wandering around the internet, looking at different things, and wondering what I should work on next. This is the beginning of my slump, when I can’t think of something else to write about. If I don’t have an idea that inspires me or excites me, then I start thinking that NONE of my time lately has been productive. I KNOW this is not true. But sometimes I FEEL like I’m not making any progress. So what should you do when you are in a slump? Do SOMETHING, ANYTHING! Action begets action, so just start working on something, even if you don’t feel like it. Many times I get my best ideas for another project while I’m in the middle of working on something else. When I am working on something, I am not only being productive, but I am also being creative. And the productivity and creativity ALWAYS leads me to more ideas, more motivation, and more direction in what I should do next. How can you double your passive income? By duplicating whatever you did that is making you your current passive income. Lets say you have 5 soda vending machines placed in good locations, and you pay someone to restock those machines for you. With minimal managing you are making a passive income every month from the vending machines. How can you double that income? By doubling the number of vending machines you have working for you. But of course that takes money to buy more machines and to pay more in wages to restock the extra machines. But what if you told yourself you would reinvest the profits you are making for the next 2 months into expanding your business so that you can double your income down the road. In the short term you wouldn’t be making any money, because you would be using any profits made to buy more equipment, advertise more, or buy more assets. But in the long term, you will have more assets working for you, and you can double your income after a few months. 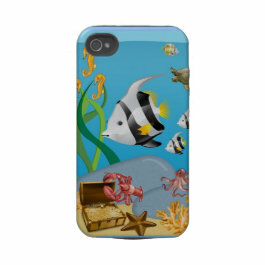 As you know I write a lot of Squidoo lenses, and lately I’ve been on a kick to increase my number of lenses that feature Zazzle products. If I want to double the amount of money I’m making from Zazzle, I need to double the number of product views or “linkovers” that I’m sending to Zazzle items. This should double my sales, and in theory, double my income. So I am off to double the number of Zazzle lenses that I have. At the end of June I had 10 different lenses that featured Zazzle products. I want to double that number by the end of July. 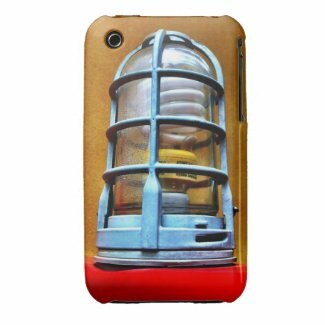 In addition to that, I’ve added some Zazzle products to some of my most traffic lenses, making sure to add products that are the same design as the topic of the lens. I am optimistic to double my income from this one revenue stream by doubling my pages that bring in the income. While it’s NOT passive while I’m making the new pages, once they are made, I don’t have to do much else with them. I am not concerned with Lensrank on Squidoo for these pages, so I won’t be feeling an obligation to keep them updated. I will probably stop by them once every 6 months or so and add a few of the newest bestselling designs and that’s it. 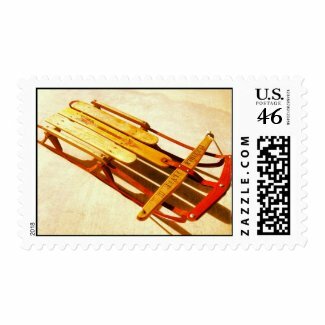 Once people create the products on Zazzle, they typically leave them on there “forever”, so the items are never out of stock or need to be changed. But some might be need to be changed due to changing trends and styles, but other than that, the products will just continue to be available to buy. Can you Earn Passive Income from your Love of Sewing? My website statistics say that someone landed here on this page by typing into Google “Passive Sewing Income”. So I thought about that for a moment and pondered how someone could earn a passive income from sewing. Well, one could create sewing patterns and sell them. The work is upfront in the creation of the pattern, and then you would collect the few dollars every time someone buys the pattern. You could sell them on eBay or on sewing marketplace websites. You could also have a blog where you show off your sewing creations, highlighting your hobby. This would be purely for fun. But you could put ads in the sidebar of the webpage, either Google Adsense ads or ads from places like knitpatterns.com that offer free patterns. If you join their affiliate program through Commission Junction (cj.com), you can earn commissions even from people downloading free patterns. I usually earn a few dollars every month from them from one craft page I have their ads on. It was work upfront to create the page, but now I continue to earn income month after month because people keep downloading the patterns. It’s not much, usually only $5-$10 per month, but it’s consistent income. And like I said that’s only on one page. Imagine if you had a big following of crafters / sewers who followed your blog and routinely downloaded free patterns. So those a few ideas of how to make a passive income from your sewing hobby. By the way, right now I’m reading The $100 Startup: Reinvent the Way you Make a Living, Do What You Love, and Create a New Future, and it is EXCELLENT! I highly recommend it. This author actually interviewed hundreds of people who ended up working for themselves and making more than $50,000 doing something they love. Great Book! I still remember a “lightbulb” moment I had about building passive income. We were driving home to AZ from visiting family in Montana over Christmas. I had my son add up how many people I had referred to Mr Rebates in every month of 2010, and also how much referral income money I had made. Then I had him estimate how much I would make if I added 10 new referrals each month based on the average I was making then. The next year (2011) Mr Rebates paid me about $400. In 2012, I’ll make more than $3000. July 18 & 19th, 2012: Over the last two days, I’ve uploaded some of my photographs to make a really cool new iPhone 4 Cases. What do you think? Today I designed some more things to sell myself on Zazzle. I like taking photographs and editing them with cool apps. I’m NOT a photographer and I don’t even have a good camera. I use my iPhone and do some photo editing with the Camera+ app. 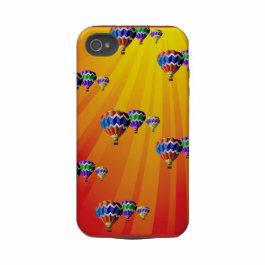 Then I put them on a few things on Zazzle. 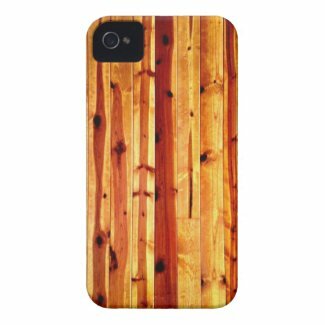 I don’t know if my items will sell or not, but I do know that one of the iPhone cases that I designed and uploaded yesterday, sold this morning! Yipee! And having my own items up for sale on Zazzle does offer the chance of someone finding my items within the Zazzle search, finding an item from a Google search, or even having someone else use my item as a product they feature and refer a sale, earning them a commission. Just like I do with other people’s products, other people could be doing with mine, which in essence is free advertising for me, and earns them a commission! FYI ~ if you are thinking of starting to refer other people’s designs to make money, you can always start with some of mine! 🙂 We would both make money in the process! Thanks in advance if you decide to do this! Today I made some new products to be listed on Zazzle for sale. I made them from photographs I took tonight when I went with my husband and three kids to eat at Chipotle, in a urban shopping area. I snapped some photos of things you see every single day, but maybe you don’t even notice them. I used my iPhone to snap the picture, then used an app to edit it to bring out the color, and that’s it. 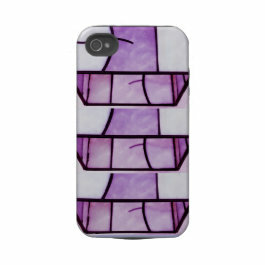 I uploaded it to Zazzle, slapped it on a few products and now I have more for sale. This week I have been up at my parent’s “mountain cabin” in northern Arizona. It’s a nice break from the unrelenting heat of the Phoenix Arizona area, where it is day after day of 110-115 degrees in the summer. I’ve done very little work while I’ve been up here, except for troubleshooting a huge disaster where all my individual websites were offline for about 24 hours. I have temporarily resolved that problem, but will need to make some more changes when I get back home. 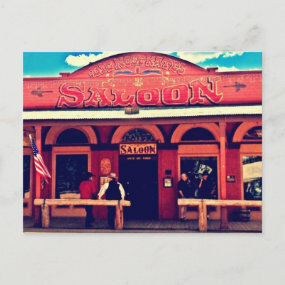 I’ve also started a new Zazzle store featuring Cowboy Action Shooting designs. If you have never heard of cowboy action shooting, you can check out this Cowboy Action Shooting lens here that features my gifts I’ve created, and also has a lot of videos showing you what cowboy action shooting is. 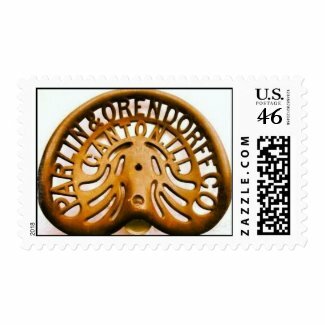 July 27, 2012:Today I am working on adding some more designs to my Zazzle stores from the photographs I took while on a brief visit up in the mountains of Arizona. 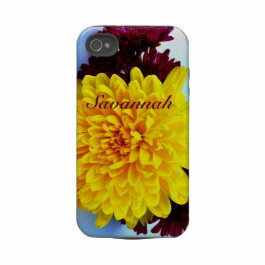 Once all of my photos are put onto products within Zazzle, I am hopeful that these items will be a passive income source for many years to come. You can also earn money by promoting my designs if you want. 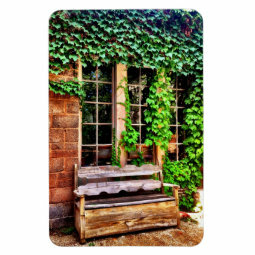 You’ll earn between 15%-30% by linking to my designs using the referral link provided when you are logged into your Zazzle account. 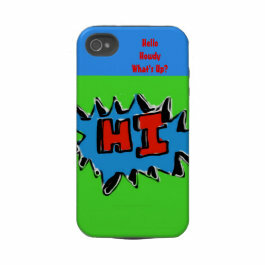 Just click on one of my products, then click on the “LINK” button, directly below the picture, and Zazzle will give you an html code to use on your website or Squidoo. You can also facebook share, twitter, or email, and your referral link will automatically be included. I promote a lot of other people’s designs myself, and I currently have been earning more than $100 per month just by promoting other people’s products. Today, I received a surprise $50.18 in my Paypal account from Hubpages. I only have about 20 Hubpages written and haven’t done anything on Hubpages for at least 6 months. I like Squidoo much better, so I never really put much effort into Hubpages. But today, I received payment for my earnings. The minimum payment amount is $50, so I finally surpassed that and they sent it to my Paypal. It’s always nice to see a little bit of income from something you worked on a long time ago. Last week, I also received a check in the mail from a company I’m an affiliate for. I had forgotten about them too, as their links are only on one of my webpages. Have you had any surprise payments lately? Answer the poll below! Today I am working on reinvesting some of my profits from my self hosted websites, into building more websites. For the next couple months, I will be taking my income from Viglink and Adsense and using that money to buy more domains and hosting. I hope to increase the income by expanding the number of websites I have. Of course, I only have a limited amount of time to manage websites, so my sites need to be set up in a way that needs as little upkeep as possible once they are established. I have a few Squidoo lenses that consistently have numerous sales each month. I made these pages because I had a hard time finding this particular product in regular retail stores. But they are available online at Amazon and eBay. If you ever have a hard time finding a product, but you end up finding it on Amazon or eBay….make a Squidoo lens about where to buy the product. Other people are looking for that hard to find product too. And if you can tell them where to buy it you’ll have sales. August 11, 2012: I made another new Squidoo lens about Camo Wedding Invitations. 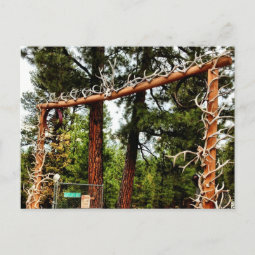 The reason I started focusing on referring Zazzle items was because I had put some Camo Wedding Invitations on my Camoflauge Wedding Dress lens and I got a huge order of wedding invitations, earning me around $70 in commissions. That got me thinking that maybe I could make some money by promoting other people’s cool designs on Zazzle. Since then I’ve also started designing some products myself, but I still refer way more products designed by other people than I sell of my own designs. August 17, 2012: Yes, I haven’t posted all week, but that doesn’t mean I wasn’t working. 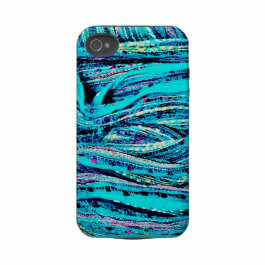 I created a lot of new products on Zazzle, and also created a few Squidoo lenses highlighted specific lines of products I created. 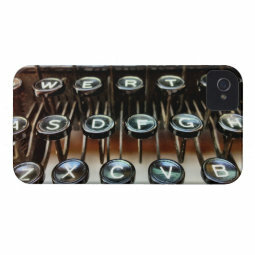 I feel like my items get found a lot better by search engines when they are listed on a Squidoo lens, or pinned to Pinterest, then when I just have them on Zazzle but don’t share them anywhere else. 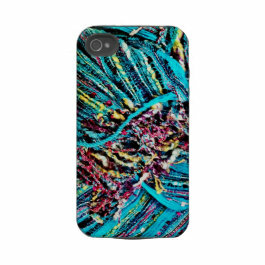 This lens features a bunch of different designs I created from a picture of watercolor paints. These would be great gifts for art teachers or kindergarten teachers. 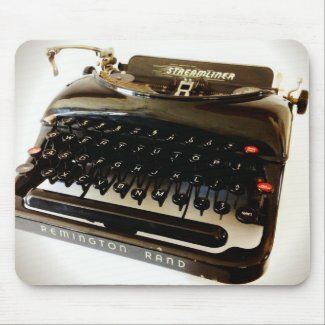 I made coffee cups, mousepads, stickers, iPhone cases, postcards, and more. I also made a lens that highlights my Hot Rod Wedding Invitations. This is targeting a very specific audience, so I don’t expect to get much traffic, but when I do I expect it to convert well into sales. 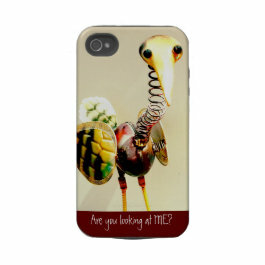 This week I had a couple of my Zazzle items sell, which was really encouraging. 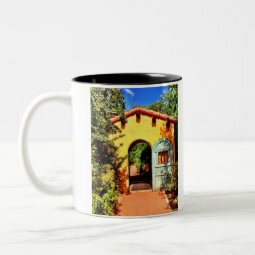 Most of my income from Zazzle comes from referring other people’s products and I have just recently started to design my own products from photographs I’ve taken. The great thing about this income source is that once your item is designed and posted for sale on Zazzle, there’s really no upkeep for that item. It could potentially make you money years down the road. The more products you design, the more likely you are to have sales. It’s just a numbers game. But beyond that, looking at what people are already buying can give you a key to more sales. Somehow, that buyer found your product, either through word of mouth, Google search engine results, a referral from another affiliate, or your own marketing efforts. However that buyer found your item, it’s likely more buyers looking for the same type of product will also land on your page. So you can increase your sales by offering more variations of your product, different colors, sizes, and styles. Or make some new designs that are similar and would still be found under the same keyword search terms. 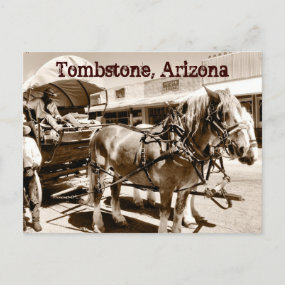 This morning I sold a Tombstone, Arizona postcard. I designed the postcard after visiting Tombstone last weekend and taking a few photos. 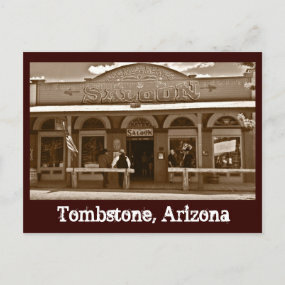 Since someone has already found my postcard and purchased it, I decided to make a few more Tombstone postcards with different colors and designs. Well after working the last two days on a few lenses featuring ergonomic gel mousepads from Zazzle, and designing quite a few of my own, I learned today that Zazzle will be discontinuing their gel mousepads within the next few weeks. So all that hard work I put in was for nothing. Oh well, it sparked my interest in creating more Zazzle pages, and I am recommitting to trying to get 100 Zazzle product related lenses published here on Squidoo within the next few months. Right now I’m at 34. 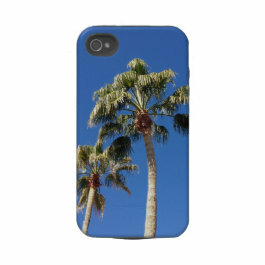 I really want to see how much income I can make from Zazzle if I have 100 Zazzle product specific lenses. And then of course, I can set income goals based off of that. I think that 100 Zazzle lenses would product between $500-$750 per month in income from Zazzle associate’s program, but that’s just a guess. The sooner I reach 100 lenses, the sooner I’ll find out. Of course this will depend on the type of products featured. It would take many more lenses if I were only featuring $10 items. That’s why many of my Zazzle lenses are invitations, where a buyer orders many invitations at once, or higher priced items like throw pillows. So one sale is usually more than $40, earning me around $8 in commissions. That’s based off of a 22% commission, which is 15% base commission and 7% volume bonus for selling more than $100 worth of product in a month. I will report back how I’m doing on this project. 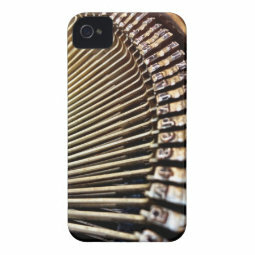 If you see me posting lots of new pages on Zazzle products, that’s why. And with the Zazzle lenses, I’m not concerned with Squidoo rank, other than for them to be under 400,000, so they get indexed by Google. My primary focus is to be a visual collection of specific products for the shopper who is looking to buy them. I hope that each one of the pages will show up in Google search results when shoppers are looking for that specific item. The more narrow the topic, the better. Today I did a few things on my Cute Sleepover Invitations page with the intention of increasing my sales. And after I was done, I was rewarded with a new sale within 6 hours of my changes. Who knows if the customer made a purchase because of the changes I made or not, but it was nice to see a sale from that page! First, I made the images smaller. You might think that this would make it harder for the customer, but prior to this, the images were very large, which because of the narrow text space on the Squidoo pages, required the customer to scroll a lot to see more images. They had to scroll and scroll and scroll and scroll. I changed it so the invitations are basically thumbnail size. The customer can see many more designs in a short amount of time, and if they see one that jumps out at them, they can click on it and see an enlarged view. This gives the customer more choices and makes it more convenient for them, instead of scrolling, scrolling, scrolling. The second change I made was I switched the invitation that I have featured at the top of the page in the intro photo. I took out an invitation that, although it was cute, was also really expensive. This intro photo has gotten the most clicks out of any of the invites on the page, mostly because it’s the attention grabbing intro photo. I thought that maybe I was losing sales by featuring a pricey invite. If a customer landed on the page, then clicked that invite before even looking at any of the others further down the page, they might think that all the invites are that pricey, and leave without making a purchase. So I swapped it out with a cheaper invite that is still really cute. Hopefully this will help convert into more sales. Only time will tell. All I know is that I made a sale about 6 hours after I made these changes and I’m pretty happy about that! If you have a family, then you know how precious your time is. I like to go do fun things with my husband and kids, and I can even turn those family outings into a money maker. How? 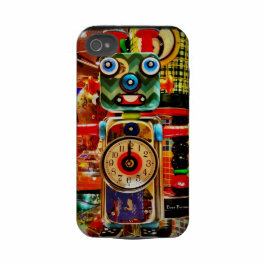 By taking pictures of fun things we do and making some Zazzle products with them. You already have your camera with you, taking pictures of the kids. 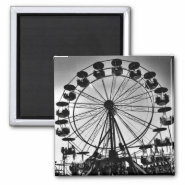 So just snap a few extra pictures, without the kids in the picture, and make some Zazzle products with them. Look the take pictures from unique angles or edit them with unique photo filters, like how I made the ferris wheel below in black and white. Here are some of the products I made from our last few family outings to the pumpkin patch and to the carnival. 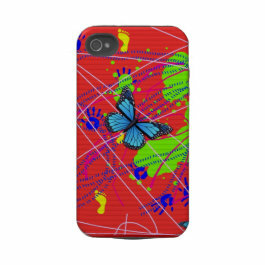 And remember you can join the Zazzle associate program and earn 15-32% commissions when you promote my designs. If you have any type of blog, website, or Squidoo lens, then there a couple easy things you can do to increase your sales this holiday season. First, take a look at your website traffic stats. And if you don’t have some type of tool that is analyzing your website stats, then get one installed. Squidoo has their own website traffic stats, or you can use something like Google Analytics or StatCounter. Take a look at what search engine terms are bringing visitors to your website. Then add some new products to your webpage that match the types of items people are searching for. Even if your webpage is an informational page, I bet there is a book on Amazon that covers the topic that you could offer for sale. Last weekend I took a look at my stats on one of my pages and noticed some specific items people were looking for that I didn’t have on the page. So I found some on Amazon and added them to the page. The next day, one of them sold, and it was a $150 item. If Google is already sending you traffic for that topic / product, then make sure your page has something for sale that meets the needs of those website visitors. And remember to check your stats periodically and update products accordingly. Another way to increase your Christmas sales is to simply update your pages with with current trendy items. You may have made a page a year ago and the products listed, while still available to buy, are outdated. Christmas shoppers are looking to buy the new versions and the trendy items. You can use the Amazon’s bestsellers list to get an idea of what products are currently selling today. If you have read this far on this page, then you know that I put a lot of work these past few months into building Squidoo lenses that promoting Zazzle products, mostly designs by other people. I would earn a referral fee for any sales, and the designer of the product would still earn a royalty on their sales. 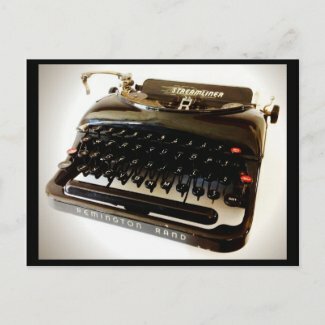 After I finished my my project to promote other people items, I turned my attention to creating my own Zazzle products. 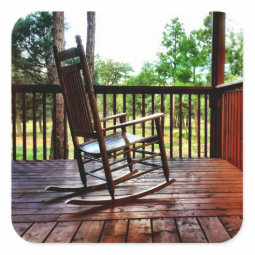 I uploaded photos and graphics, putting each design on about 100 different products like iphone cases, mousepads, coffee mugs, stickers, etc. 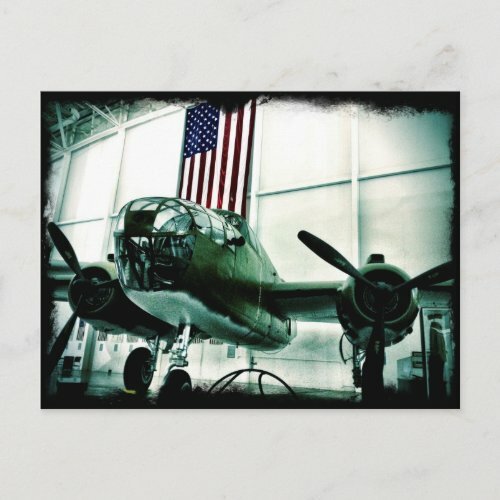 I set up my own templates using the Quick Create feature within Zazzle, so that it would be relatively easy to upload one photo and it would get placed on 100 items. A few items I would need to resize the images and fix the alignments, but for the most part, I could get 100 products posted for sale in about 20 minutes. This means I could put up lots of products for sale quickly. 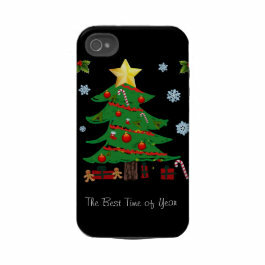 This is currently right around Christmas, so I know that I have been reaping the benefits of the holiday shopping season, but even so I have been really impressed with the potential of my own Zazzle products being a significant passive income stream for me. During both November and December I earned more than $1000 for the month, which includes royalties, referrals, and volume bonuses. And what really excites me is that I just started posting a lot of products in my stores. And every product I post for sale will continue to be capable of earning me money for many years to come. Those products will continue to be for sale forever, unless I delete them. 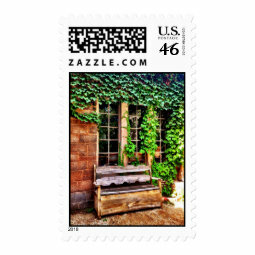 So if I keep posting more and more products for sale, my Zazzle income should continue to increase. For example, lets say I have 20,000 products for sale, which when I create products 100 at a time, is only 200 designs/photographs, and I sell, on average, one-half percent of my products per month, that would be 100 sales per month. Now lets say I continue to create new products and soon I have 40,000 products up for sale. If I still sell on average one-half percent of my designs each month, then I would have 200 sales that month. Fast forward to 100,000 products: 500 Sales. And my sales have been averaging around $6-$7 in commission when I figure the royalty and the volume bonus. So 500 Sales would equal $3000 – $3500 in income. Is it possible to use Squidoo to pay for college? I started a second account that I’m using as an income source for my teenage son. He helps me with the ideas for pages and some of the research for the articles. Then when I’m paid each month from Squidoo I give the money to him to spend however he wishes. My intention is to continue to add new Squidoo lenses to this account so that by the time he goes to college in a few years, he will have a nice little source of ongoing income coming in monthly to help pay for various expenses like gas money and miscellaneous spending money. Wouldn’t it be nice if he could he off to college with a $500 income coming in every month? And if I keep continuing to add pages the income would only grow. I also have two preschoolers. I should also start separate accounts on Squidoo where I write pages and use that revenue specifically to fund 529 college savings plans for them. If I earmark the Squidoo income from a separate niche account to go to that purpose I would stick to that plan. But when I get paid money in a big lump sum to one Squidoo account I tend to spend the money on whatever extra expenses we had that month, without sending a percentage of the money to whatever savings plan I intended to invest in. It would just an easier way for me to stay disciplined about investing the money for college expenses in the future. I really like the idea of doing the work upfront, writing the pages, and then using that passive income the page produced month after month, to invest in some other type of financial instrument that continues to earn passive income. It’s like my passive income is then earning more passive income. Right now I send a portion of my Squidoo earnings to my IRA account, and I have some other online income deposited directly into my savings account which earns a little interest. Of course I must also set aside money to pay income taxes on my earnings, so some money gets sent to a separate savings account that I use to pay my quarterly estimated income taxes. Overall, I keep thinking about how much I love writing articles online as a way to earn passive income. The work I do upfront is a lot when you think about how you don’t make any money in the beginning from your work. But when you consider that your efforts can pay you money over and over again for years into the future, you can get really excited about the passive income opportunity that writing online provides. I have one page that I wrote 14 months ago that has earned me a total of $574.90 over that last 14 months. I’ve done a little updating along the way, but for the most part, I just continues to earn with little upkeep on my end other than maybe an quick 15 minute update every 3 months or so. And I see no reason why it won’t continue to earn money for me well into the future. Another page I’ve wrote about 2 1/2 years ago has earned me $562.73 over that time. And it continues to get more and more traffic every month. And another short article I wrote on Snipsly, which is another Google Adsense revenue sharing site, went for a year without really having any traffic or earning me any Google Adsense income. Then, for whatever reason, it started getting traffic and clickouts on ads on the page. Last month I earned $25 in adsense revenue from that one page alone. The moral of the story is that you never really know how your online content will do in the future for passive income purposes. But if you don’t ever write a page, it doesn’t have any opportunity to earn you income. So just keep writing. Make sure to write good quality unique content and you’ll be on your way to building a passive income online. PS – I’ve found that it really helps my income to write about topics that I’m interested in, but then once I pick the topic, to use a keyword research tool to help me pick the keywords for the url, title, and headings that get good traffic from Google and have low competition from other websites. I currently am using Jaaxy keyword research tool, which does have a monthly cost of $19 per month, but for me it’s well worth it. I makes me 50x that per month in the income it provides me. When I started using it, I approached it with the attitude that I would spend the $19 to try it for one month. And if I didn’t think it helped me after that one month, then I would cancel my subscription and all I would be out was $19. During that first month I used it to pick titles for new pages, but also to go back and edit some of my old pages, inserting new titles and subtitles with better keyword phrases where appropriate. Before the month was even up, the changes I made to my old pages brought me a significant increase in traffic from Google. And from then on, I was sold. I’ve been using it ever since. This is how long I have to build up a passive income stream to pay for everyday expenses my son will have while he is at college. My intention is to continue to write Squidoo articles in a separate account. I currently give these earning directly to my son when I’m paid. He uses the monthly earnings for various things instead of asking me for money. I hope to have the earnings past $500 per month by the time he heads off to college in August 2014. Share what you are doing ! What are you doing to build your passive income stream? Writing down my ACTION ITEMS here on the page has increased my productivity and INCOME! Please Tell Me What YOU did Today to Build your Passive Income Stream. This could be as simple as a new Squidoo lens, a blog post, or something else. Then come back tomorrow and post again! Great post. Read more about passive income at http :// finlit . biz/?p=725. I am looking forward to sorting out all of your creative ways. There are many passive income streams generated by typcial household expensives. If you can generate one there, that would be amazing!!! I work with a company who pays through passive income as well! Check out my lens squidoo.com/vemma-business-opportunity to learn about the company and how to contact me! What do you have to lose? Wow! This is one huge lens! I am not going to be able to sit through and read it all but the message is pretty good and the idea is that there are opportunities everywhere. My advise is to avoid for the time being those passive income streams that require an investment, if you are not already making money. I took a set amount a few years ago to build several websites and blogs. I promised I wouldn’t dig into my savings or other spending money. Now three years later I am benefiting from a variety of passive incomes and am only using the money that I make from the websites to invest back into them, no more. Do not make the mistake though that this is fast and easy money. Most passive income requires substantial work up front, but if you maintain a long term forecast you will be in great shape! Kim, I am so impressed with your lense that I’ve recommended my readers visit your lense and incorporate your business ideas and plans. I can clearly see how determined, focused and hardworking you are and your lense is easy to read too. As there are so many things to explore and learn from your lense, I myself have to keep re-visiting. Once again, thank you very very much! I love this lens Klaird and I come back here sometimes to just re-motivate myself. 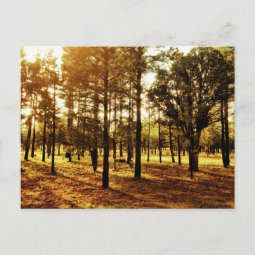 I have a question for you though – I’ve been playing with Zazzle a bit lately and I was wondering if you have some tips on where to get photos and/or patterns that can be used? Or do you strictly use your own? In addition to using my own photographs and designs, I also use public domain images and clipart from Pixabay.com and clker.com. If it’s in the public domain you can use it for any purpose, even commercial, and you don’t have to credit your source. I also buy commercial use clip art from http://mygrafico.com/idevaffiliate/idevaffiliate.php?id=469. Just read the terms, on some of them the commercial use license is included, and on others you have to credit the designer in the product description, or buy a more expensive commercial use license. Good Luck! This is the first Squidoo lens that I bookmarked! I will be coming back for more information. Today I am building my passive income by writing a new Squidoo lens and updating a previous lens. I am also creating a work plan for 2013 so I have each day mapped out for maximum productivity. Love this lens; have “liked” it and bookmarked it! One of the most creative lenses I’ve come across to date! What an undertaking you’ve committed to! Today I am building up my Passive Income Stream by updating several of my lenses, writing a brainstorming for Kindle books, and researching/signing up for affiliate sites. In addition I am working on my real estate business which is also partly passive in nature. Wow@ This is a great lens. Packed full of great information. Thank you! Great lens. Bookmarking it for inspiration. I’ll be trying these affiliates out now. I purchased a domain today (which I’ve been avoiding because I thought I’d have to pay monthly hosting fees) but I found a great free hosting plan that allowed me to install WordPress and maintain a blog there. This will enable me to feature the lenses I already have on Squidoo in a particular niche that get about 750 hits a day, and pass my traffic there so that I can qualify for some specific affiliate programs that Squidoo alone won’t allow me to qualify for. I love this lens! I will be back everyday to read and sign up for some of your affiliates. Thanks for all the hard work. WOW, what an amazing resource thank you for sharing so much wonderful info. I am going to look into Mr. Rebates! Today I am building up my Passive Income Stream by signing up as an affiliate with sites you have mentioned here. I will also be signing up using your affiliate IDs because you’ve shared so much of your journey so far. I’m going to read other lenses and even your blog – but today I have to do some “action” items. I’ve been reading for almost three days now. Thank you so much for tips, trials, tribulations. One tip I’ve read elsewhere and applies here, I think – don’t host everything in one spot. I was frustrated for you when reading about hosting issues. I haven’t come across any yet, but I do know that as I build more sites I will have to host a few different places. Thanks again! I have never heard of some of these income streams. Diversification is key to success! Thank you for sharing! I don’t have a lens to track my progress, but I have started using an Excel spreadsheet to record what I’m doing, and it has definitely increased my productivity. It helps to keep me focused, and that’s key to working online. I LOVE this lens. What a great way to make yourself accountable EVERY day. Today I published a new lens (won’t link to it here). And thanks to reading this lens, I’m going to pull out Lisa’s Squidoo Money book and brush up on those tips. What an insipration this is!! My problem? I’m ONLY working on Squidoo lenses and neglecting my HTML websites. I think I need to re-think my strategy and not put all my eggs in one basket. So very glad that I ran across this lens! Today I am building up my Passive Income Stream by joining Squidoo and putting up my first lens on my experiences using my Kindle Fire on vacation with the kids to save money and my sanity. Thank you for such hope and hard work as mom!!! I am really encourage thank you sooooo much!!! This is really great, and so comprehensive… Good luck on your online journey… I am on a similar quest! It’s a great time to be working on Halloween lenses. I find that my new lenses really start getting found in Google and getting traffic after their 2nd month. Making Halloween lenses at least 3 months in advance is a great idea. Then when the new items come out later in the fall, go back and add in some of the new products. today I am building a new passive income stream by reading information on how to create really good content that people come back to again and again. Reading this lens is the first step in that direction. This is a very informative lens.I’m learning a lot.I can’t wait for the next update. You should build lenses for other people.You’re great. Today I am building up my Passive Income Stream by writing a new blog post on my website. Every little bit helps. One more post is more content for my website which brings me more visitors, which in turn increases my customer base. Thanks for encouraging me to get an “Action Item” done today. What Passive Income Seeds did you plant today? What “Passive Income Seed” did you plant today? How are you creating residual passive income streams? Thank you for a great lens.You put a lot of work into it. This is an amazing lens! I’ve started back in lens writing and I am trying to build passive income streams. I still feel like I have so much to learn though! Wow, I’m am impressed by all your information. I don’t know how you keep up with it all. I’ve taken some very good tips out it, thank you very much. Another click per pay new on the market you might like to have a look at is Home Page Pays if you haven’t already looked at it. www.rubeingsmart.com. Great passive income earner as well. Free users earn reward points but for a small fee you can earn a great passive income. Just new on squidoo so enjoying all the reading and tips. Keep up the fantastic work. Very impressive and inspirational! I am spreading my reviews on the squidoo forum. Not sujre what else I will have time to do today. What a cracking lens! It should be offered to every new lensmaster hoping to make extra cash as an affiliate. Well worth the visit, Angel Dust left here…. Wow! This has to be one of the most impressive lens efforts I’ve seen on Squidoo. And, congratulations for sticking to your full 365 days. I’ve seen so many people start a project like this and only last a few months at best. Your truly an inspiration. So nice I had to visit twice! Thanks! Totally amazing lens! My daughter leaves for college in August and I am working my tail off to earn money online for all those dorm needs! Blessed! Well! sheer passion is what getting reflected from your lens and I really enjoyed reading it.It seems that you have put in lots of hard work in order to stay focused on goal of building passive income.All the best and indirectly it inspires me. so looking forward ….. I want to start off be thanking you for putting up this wonderful web site. It is both informative and inspiring. I do have a couple of questions to ask which I hope you can take the time to answer. How much computer background did you have before you started this year long trek? How indepth of a knowledge would I need to have to be able to accomplish the tasks you are doing now? Would one need to obtain degrees and be able to write computer codes or have formal training in web design? Thank you for your time. This lens is one that I will definitely come back to study. Pinned to my “cool ways to make money” and “internet marketing potpourri” boards, and blessed. 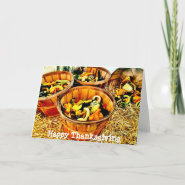 Gobble, gobble – Happy Thanksgiving! Great Lens! Valuable ideas, thanks for sharing. Reading your lenses I’ve god an idea to make the same you did. Thank you, your lenses encouraged me very much. Great lens. I’m slowly getting my own passive income stream as well. Wish I could buy the ebook you referenced!! btw, do you know if you can get the ebook anywhere online still? Wow, you have a ton of information here. I’ve been earning a passive income online since 2007. It really helps us make ends meet. Very nicely done. Love your step by step-ing here! Thanks! Thank you for sharing so much. I am a single mom starting school full time, and I am really wanting to make a full time income online. You have so much helpful info. Hi, Klaird. You are too generous, and deserve all the blessings you get. I wish you more. I started writing on Squidoo for passive income, but I never thought about doing some more, since I’m online anyway. And I will, thanks to you. Thank you so much! The eBay links (even here on Squidoo) last for 7 Days. I sell a lot of eBay products. Otherwise I would recommend looking into affiliate networks like CJ.com and Linkshare.com. The cookie length varies with each merchant, but usually the commissions are higher. Although people tend to buy more items in one shopping visit on Amazon, adding more items in order to get free shipping. Zazzle commissions are 45 days. Also, I highly recommend specifically looking at your traffic stats. What are people typing into Google to land on your page? Are you offering a product to meet their needs. Obviously Google is sending you traffic for that keyword phrase, so make sure you are offering those products on your page. Hope that helps! And another thought for you. It’s a numbers game. For your pages where you are getting that 20% clickout, how many actual clicks is that? One of my pages that does consistent sales had 335 clickouts in a week, which resulted in 16 sales. So about 4.7% of my clickouts actually resulted in sales. So for every 100 clickouts I should make about 4 sales. And this is from one of my BEST pages. My other sales pages probably do worse. I make a new tracking code in Amazon for every lens so I can exactly which sales came from which page. Thanks Ash. It’s hard to keep up with all my lenses. I have no idea how people with 500 lenses can manage them all! This is so motivating. I am working on a niche website and today I plan to update my blog. Thank you for the inspiration. Have a great week. Yes, I got your questions, but I’m in the process of moving my family to another home so I’m going to be really busy for a few weeks. I probably won’t get them answered and back to you for a few weeks. Thank-you for all the great tips on building a residual passive income. It is always a good idea to have a plan. I was sorry to hear that squidoo stopped selling Lisa’s book, she is a really good friend of mine. She is the one who got me started on squidoo and blogging. Why do people have to spam anyways? No good. I look forward to reading more more your work. Blessings. Sure I would do an email interview. Just send me the questions. You don’t have the contact button enabled on your Squidoo profile, so I’m replying here. But you can contact me back on my contact button on my profile. I’ve been on Squidoo for a few years, but didn’t get serious until one year ago (June 2011). Then I started using a keyword research tool in November and that really increased my traffic and therefore sales on my pages. For my stand alone websites, I’ve only been doing that for about 6 months. But it’s not all from just writing….$206 of that $573 was from Mr Rebates, which I talk about in numerous places on this page. Those earnings are from other people shopping – they get cash back and I also get cash back because I referred them to Mr Rebates. It’s indirectly from my writing, because they signed up as my referral through some type of blog post or Squidoo lens where I talk about Mr Rebates. So keep at it. Keep building lenses. The more you write the more opportunity you have to earn. (But I highly recommend using a keyword research tool to see which phrases don’t have much competition, so your time is spent writing about topics that will actually get traffic). I am really impressed, and congrats on your new house, I am sure you will have fun decorating it. I will keep up to date on your passive income journey and thanks for sharing. First of all, I have to say, “wow!! !” This is amazing and I am going to come back and study this to absorb everything that you shared. I am a hubber that has just come back to Squidoo after creating one lens two years ago. Today, I worked on a Squidoo page about jewelry, but it’s not done yet. I also tried out the keyword program that you suggested but I can’t afford to buy anything right now. It’s so good! I have about ten searches left. Thanks for sharing. I want to learn how to make money at this. So far, I haven’t made much money but I need to learn because I want to be able to make money online to support my family. Love your lens. I know it takes a lot of commitment to keep finding something to do every day that adds to the bottom line, so this is very inspiring! I’ve been doing some keyword research and been implementing those tactics to increase traffic. Absolutely inspiring! Goes to show what can be done with dedication and persistence. Wow. Great opportunity to learn from someone who knows about affiliate marketing. Well you certainly are a go-getter! Good for you. I hope you keep this lens updated. And you’re the second person in as many days who’s got me thinking about Zazzle. I guess I better check it out! Somewhere on Zazzle I saw that soon they will be making wall decals too. I can’t wait for that. I think they will sell really well.